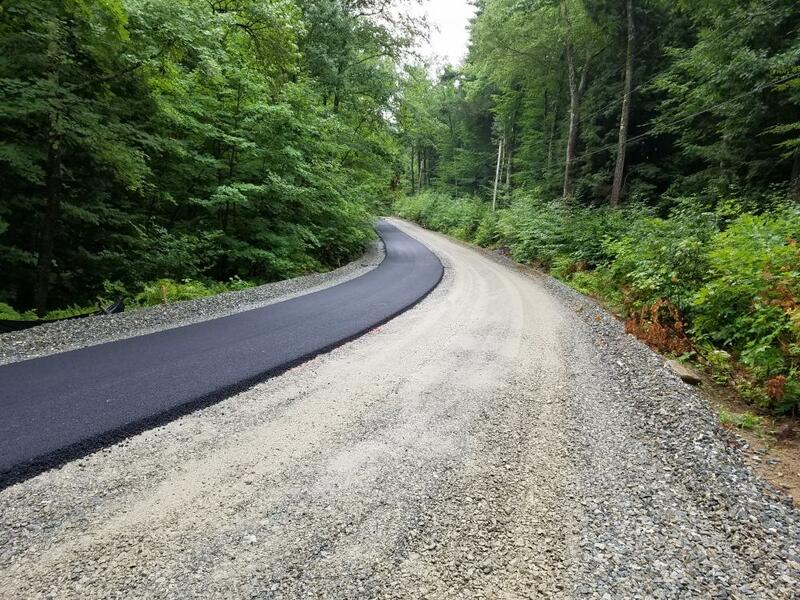 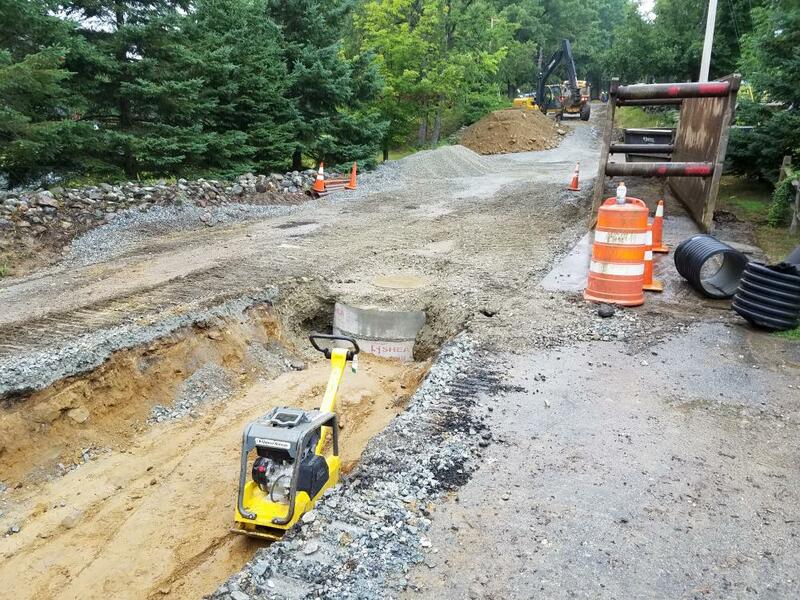 This project involved roadway reconstruction and drainage infrastructure improvements, including the installation of a new box culvert, and three miles of pavement rehabilitation and resurfacing. 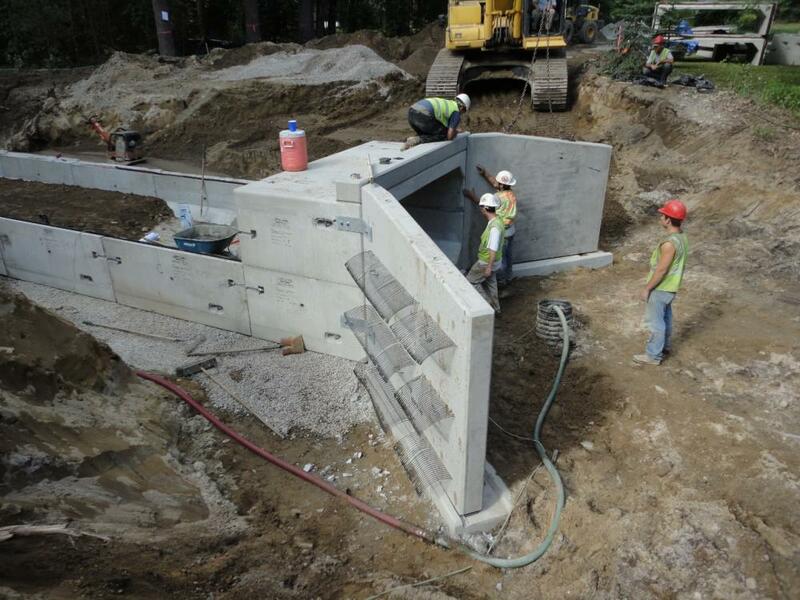 Northpoint designed and permitted the box-culvert replacement and prepared the construction and bid documents for all of the proposed contract improvements. 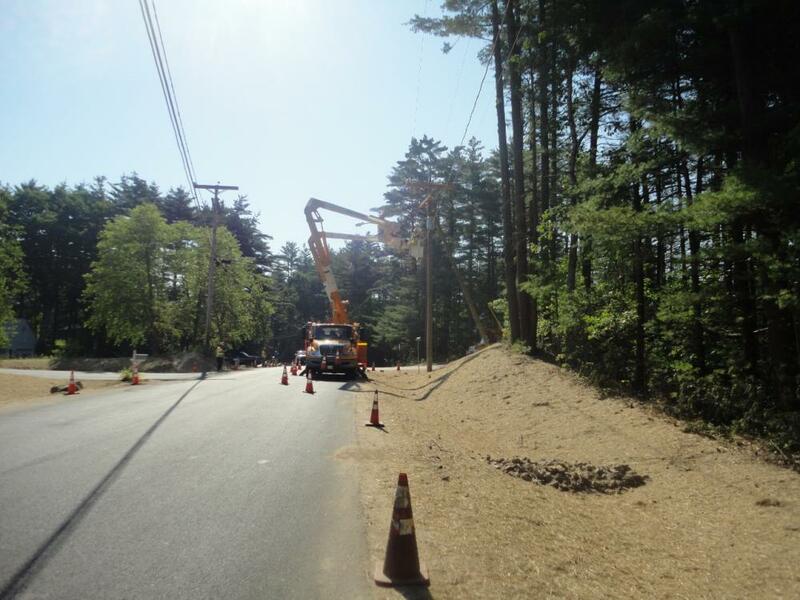 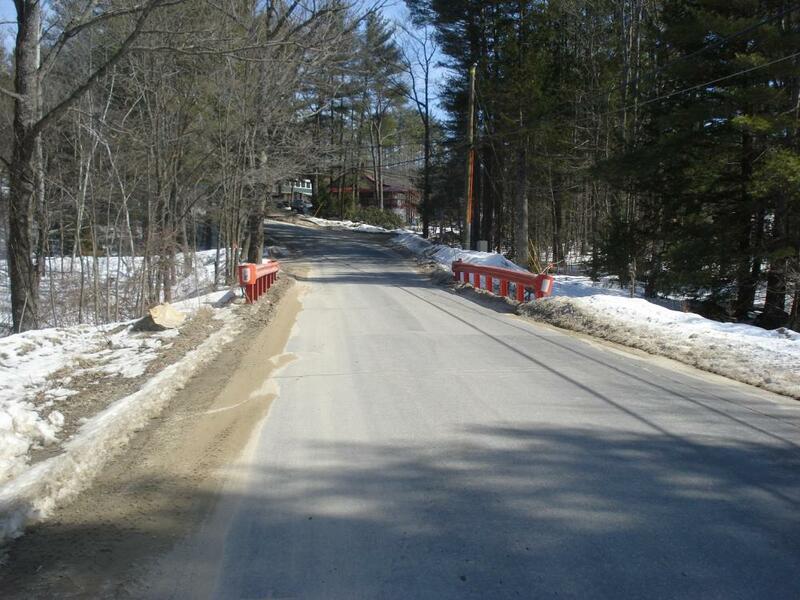 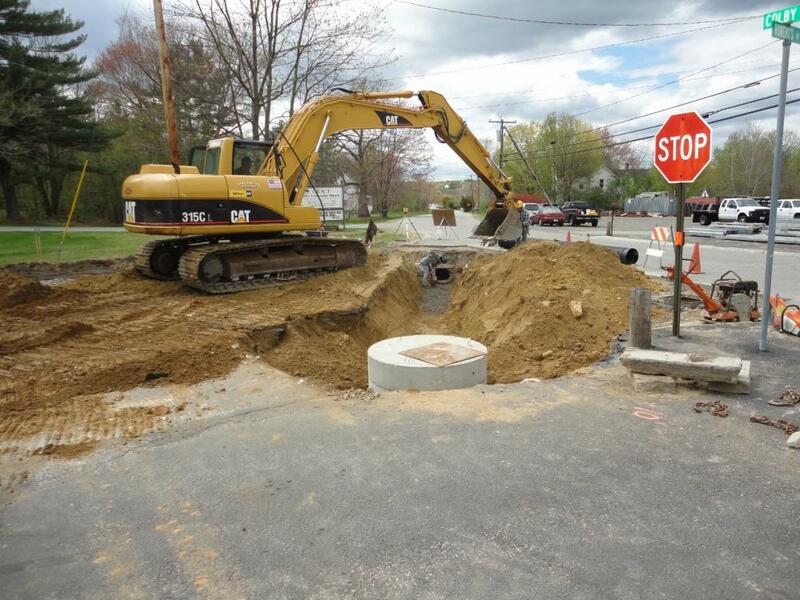 During the two-year construction project, we worked closely with the Board of Selectmen and Town crews. 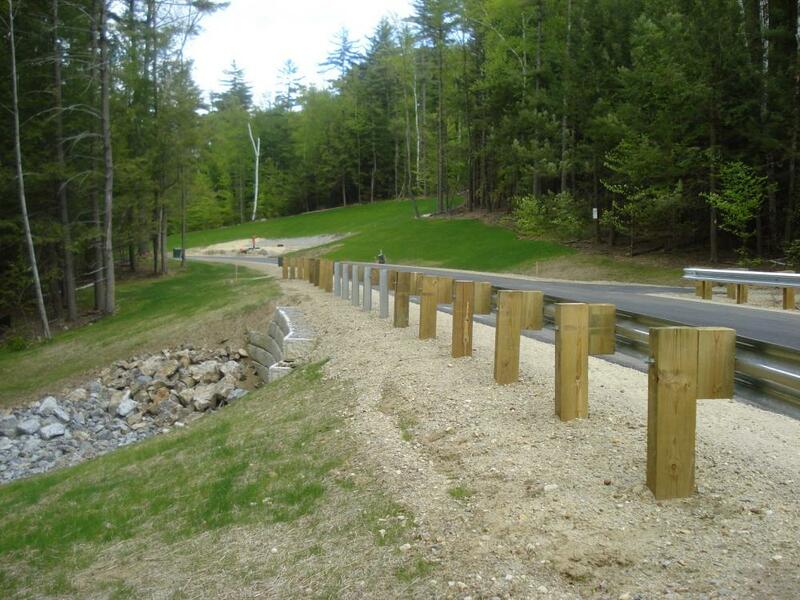 In addition, Northpoint oversaw all construction work including: full depth roadway reconstruction, installation of drainage improvements and box culvert, stabilization of slopes, erosion and sediment control maintenance, guardrail installation, and paving. 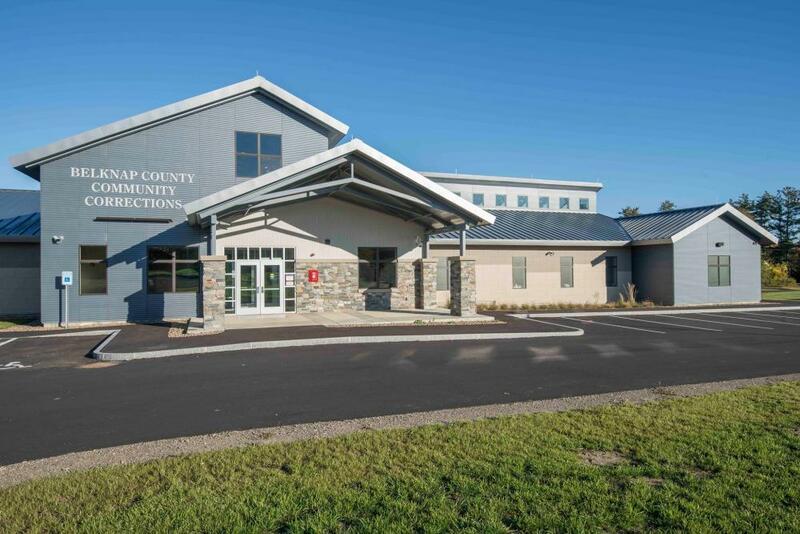 This 18,410 square foot facility was designed to provide a comprehensive treatment, counseling and education program to participants deemed to be at high risk for substance misuse and likelihood to reoffend. 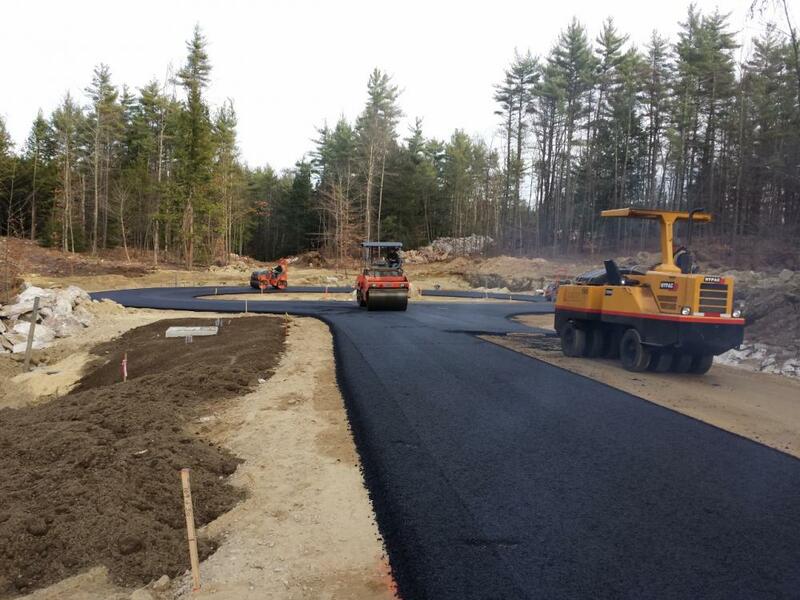 Northpoint worked with Belknap County and their selected architect and construction manager to design & permit an expansion of the front of the existing County Jail. 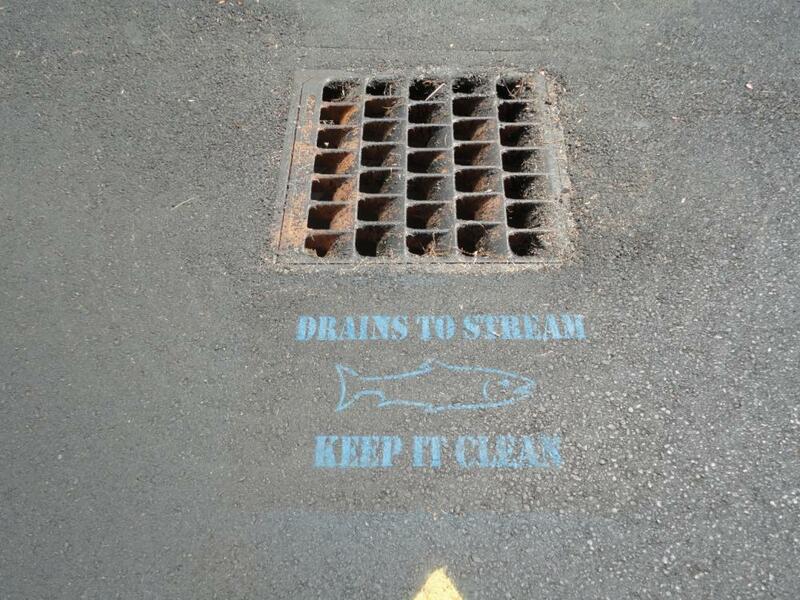 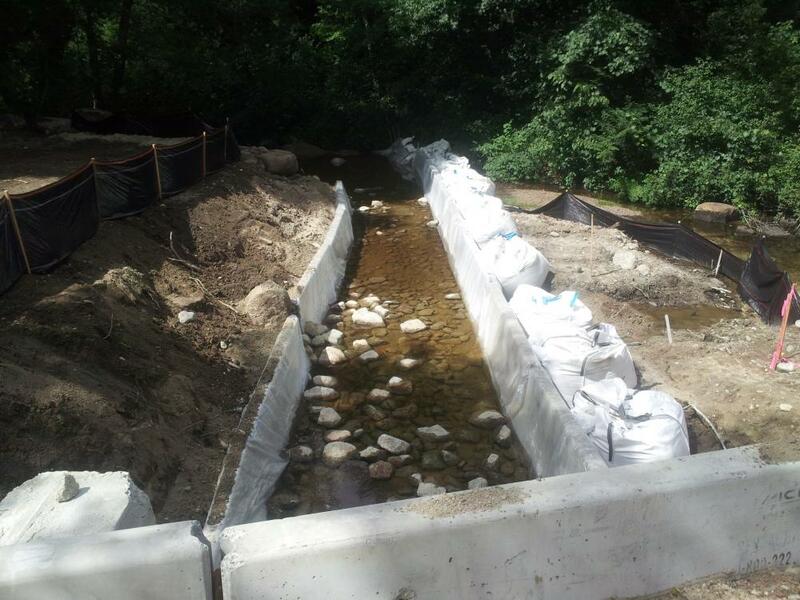 The site design included tying into municipal water and sewer as well as the design of a stormwater management basin. 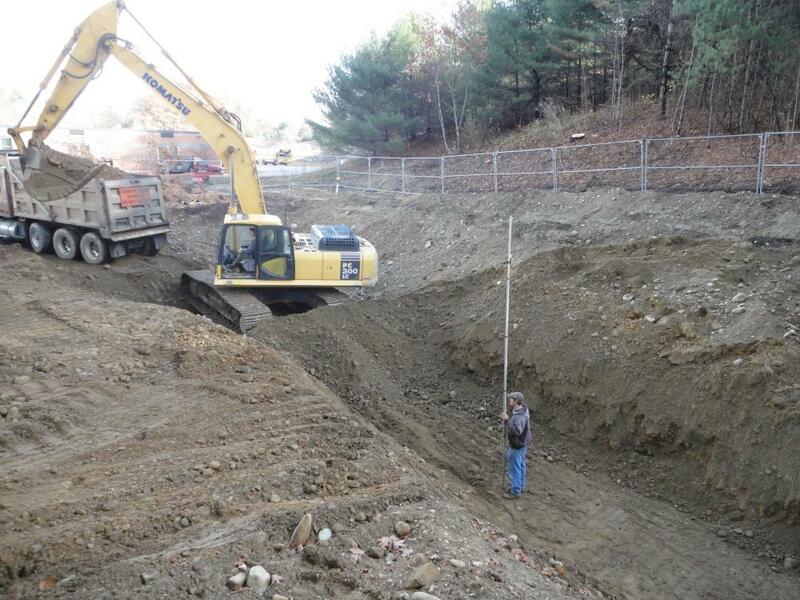 We provided all components of the civil engineering site design and facilitated local and State permitting. 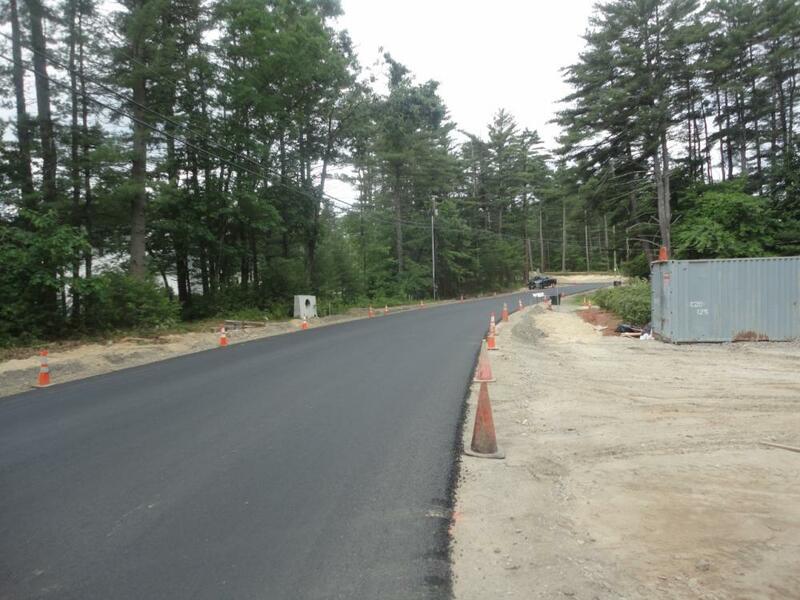 We also provided bid and construction administration for the County. 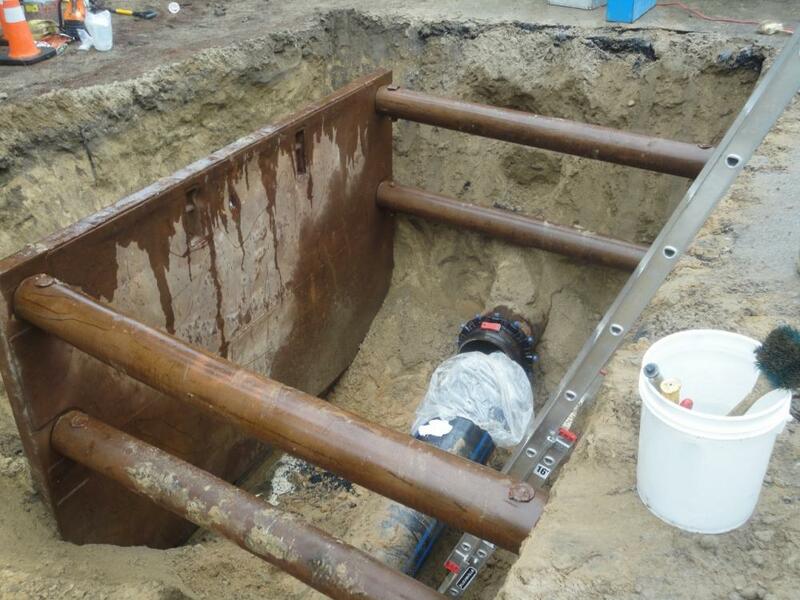 Our construction involvement included review of shop drawings, periodic site inspections, evaluation of field changes, and review of material testing results. 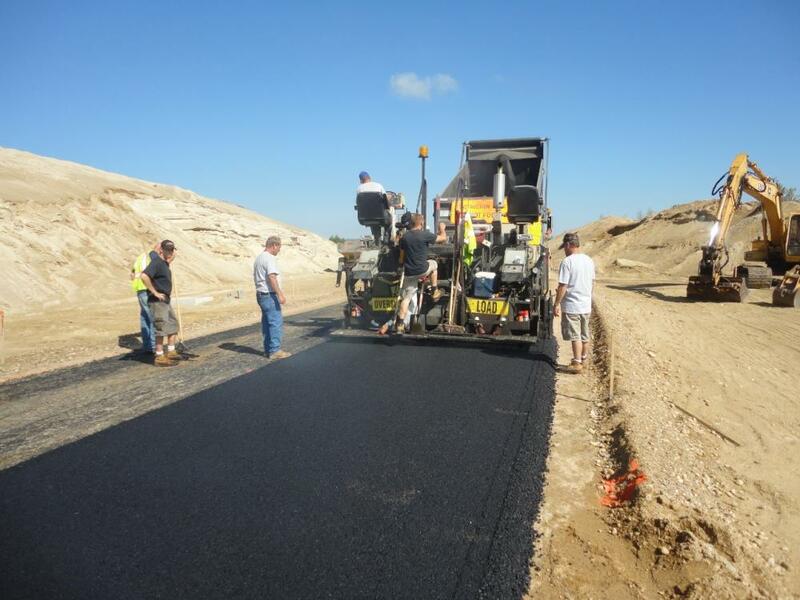 The project was completed and opened in August 2017. 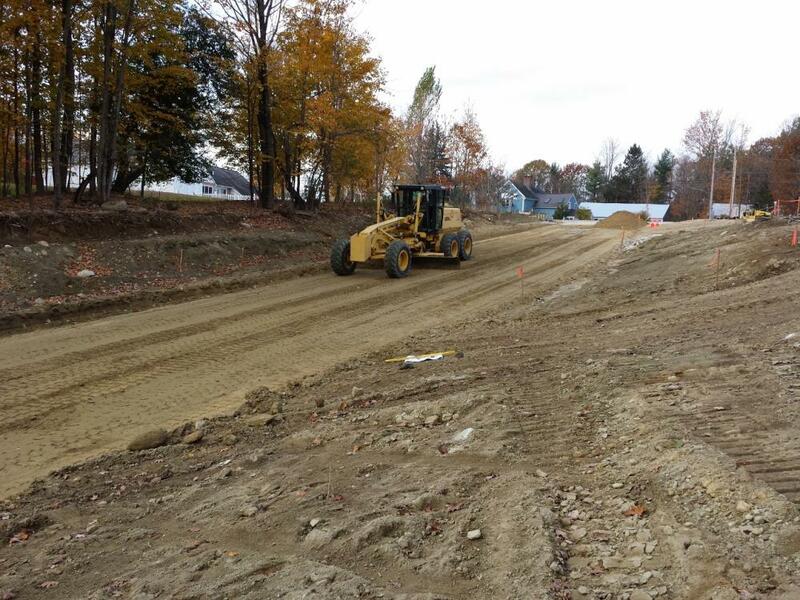 Northpoint is currently providing construction monitoring and administration services on behalf of the Town of New Boston Planning Board during the construction of the roadway and associated infrastructure for this multi-phase, 40-lot residential subdivision. 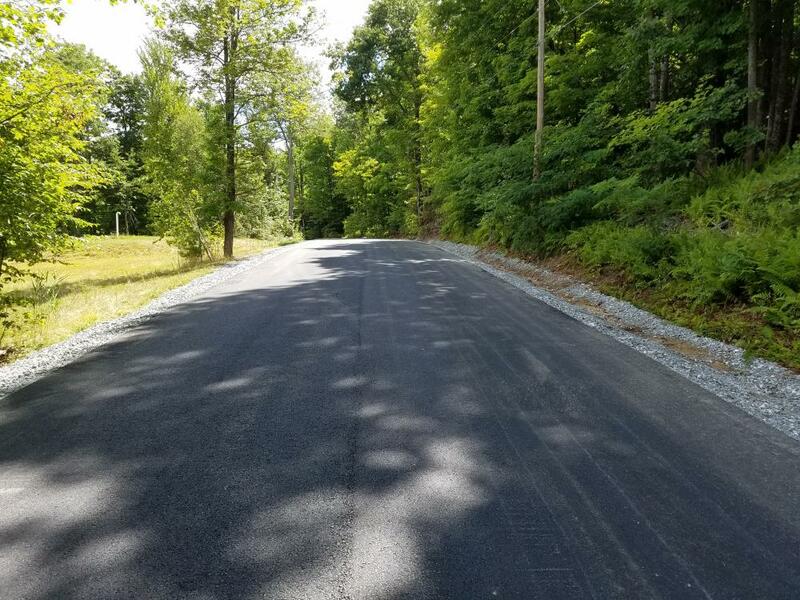 Technical plan review was conducted during both the subdivision application process through the Planning Board and for more specific areas of the project during construction. 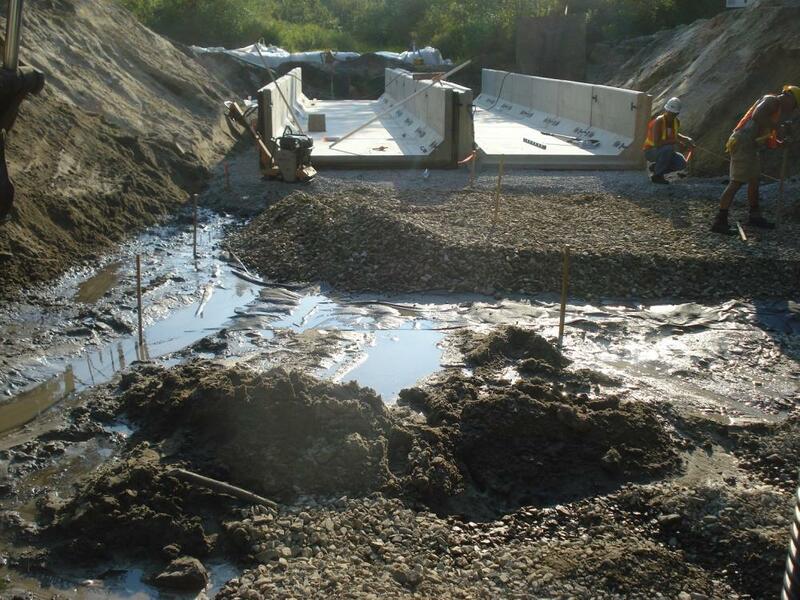 This project includes three wetlands crossings and associated retaining walls, each with varying size and complexity. 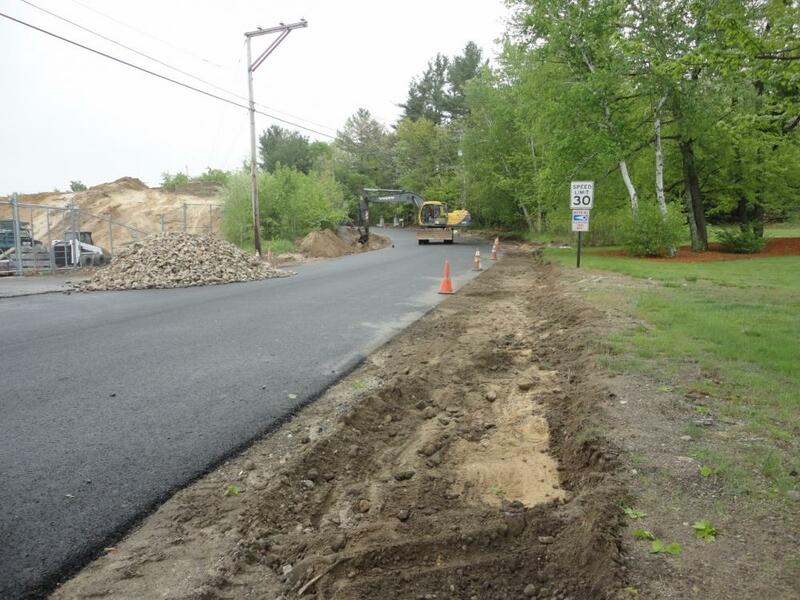 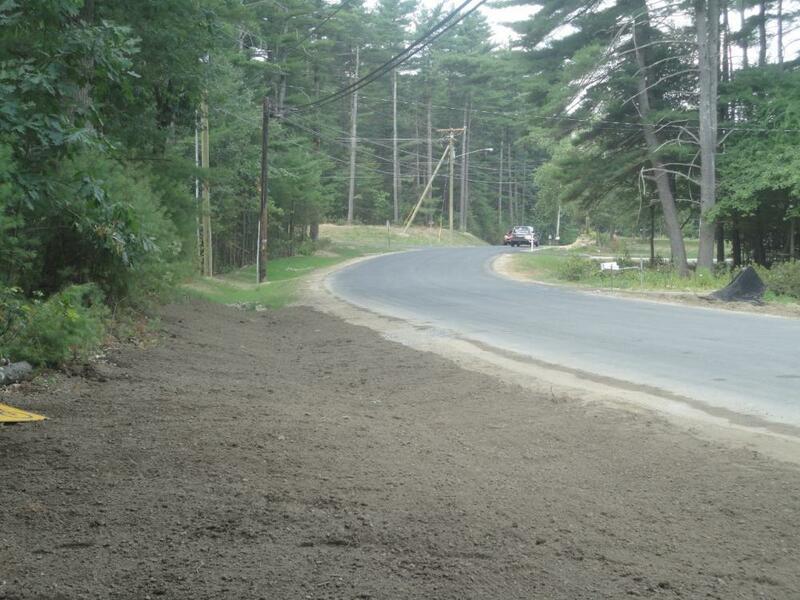 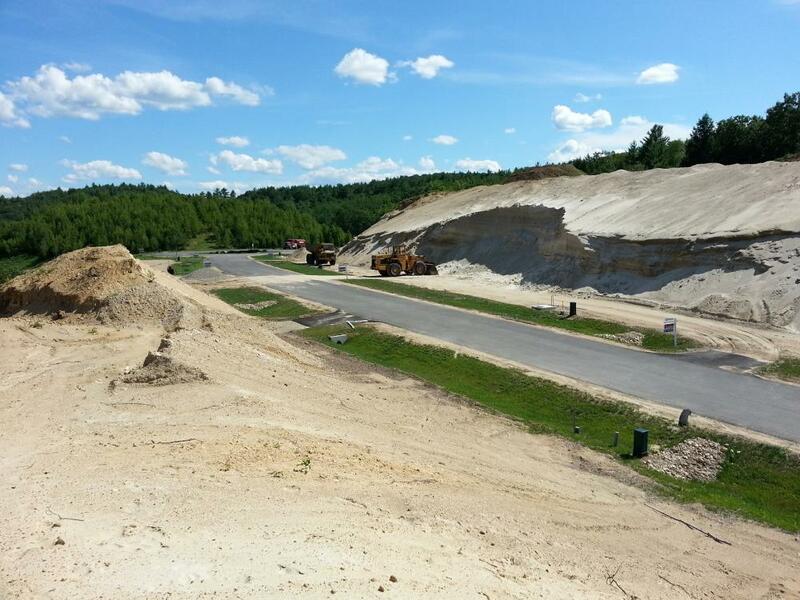 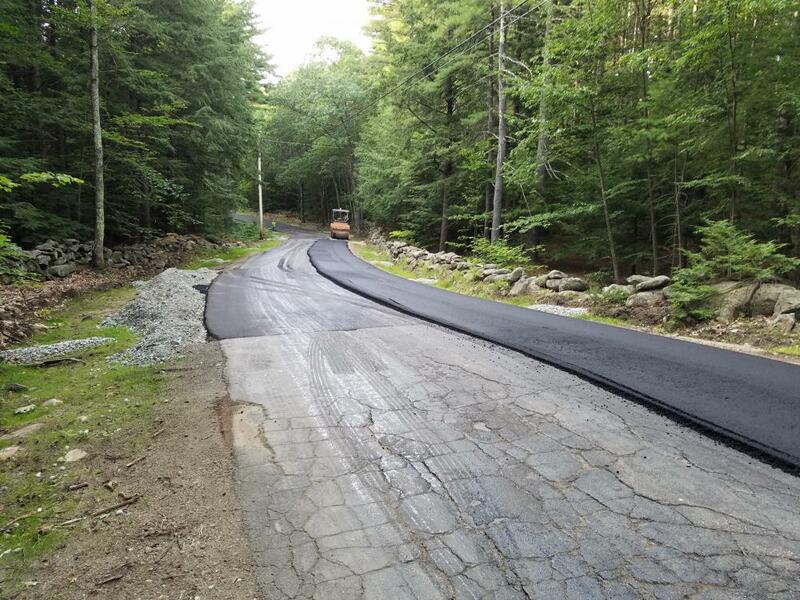 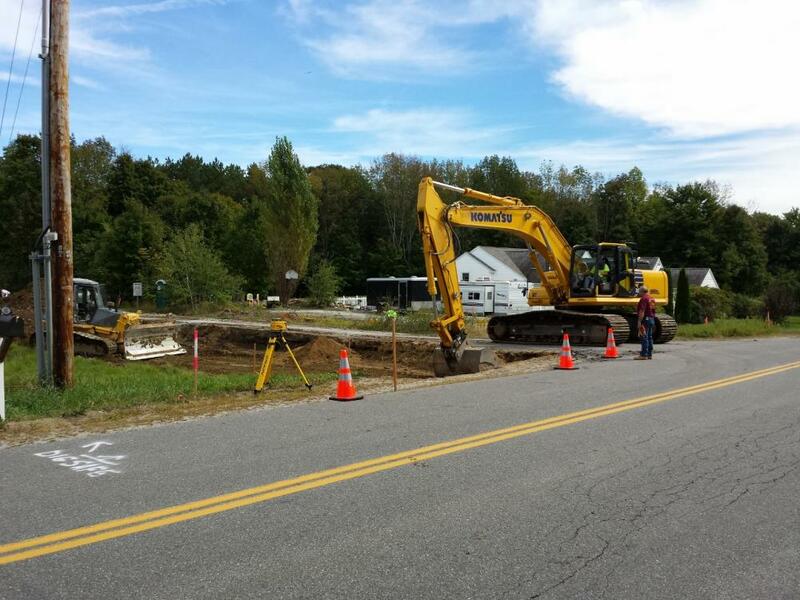 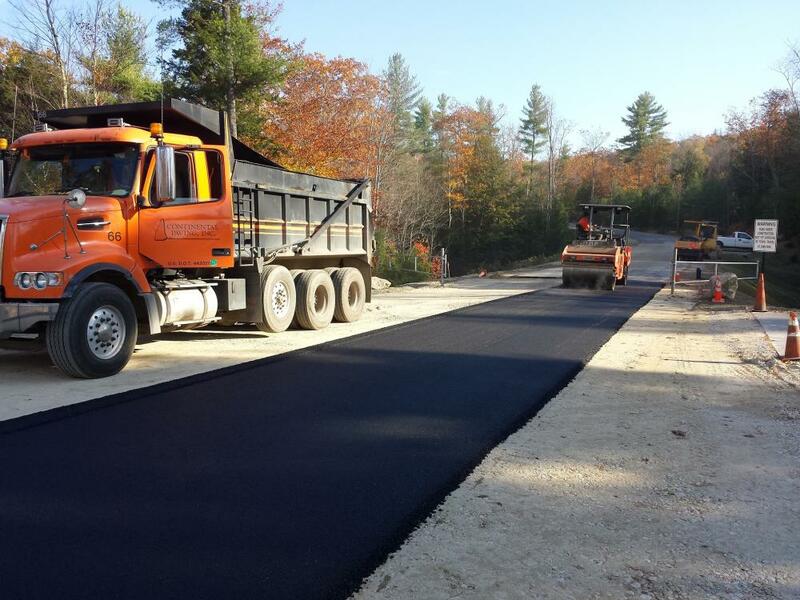 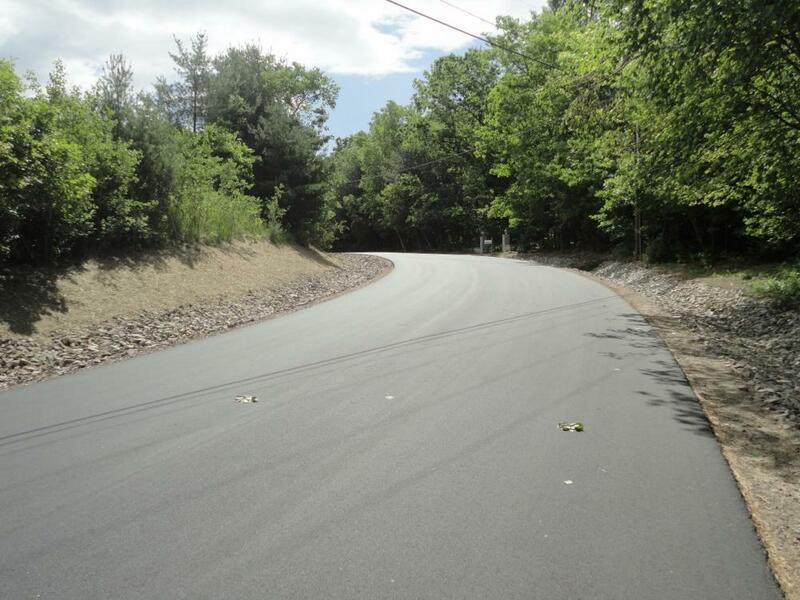 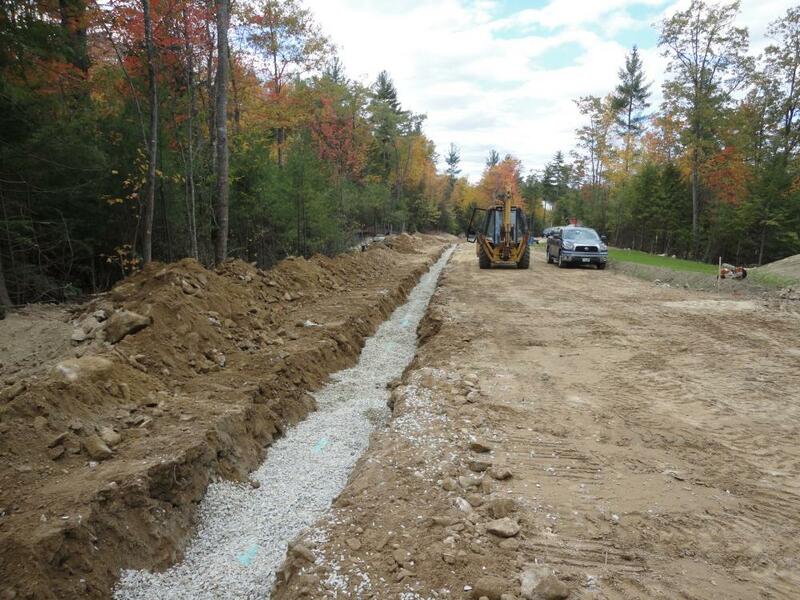 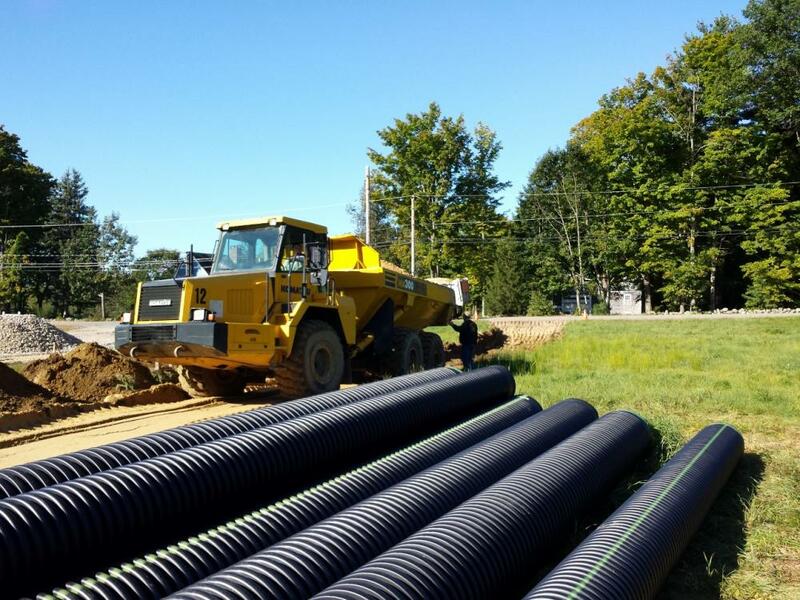 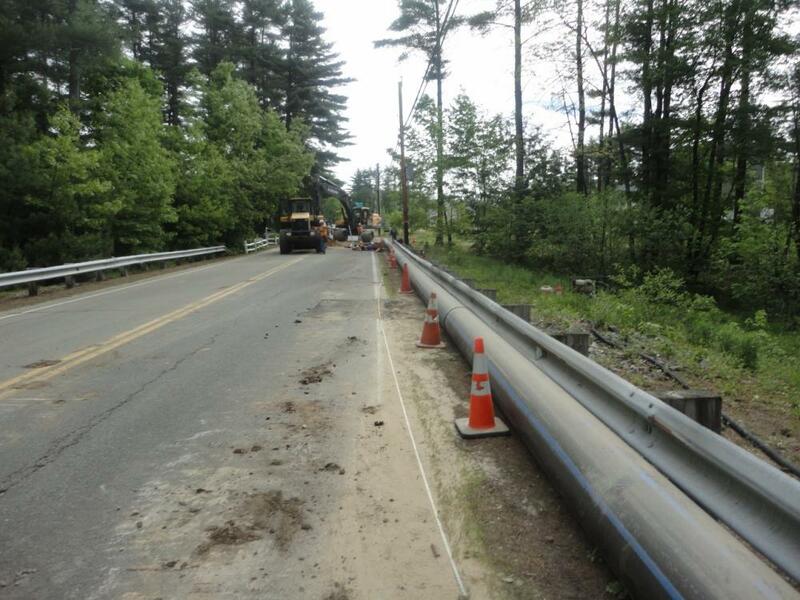 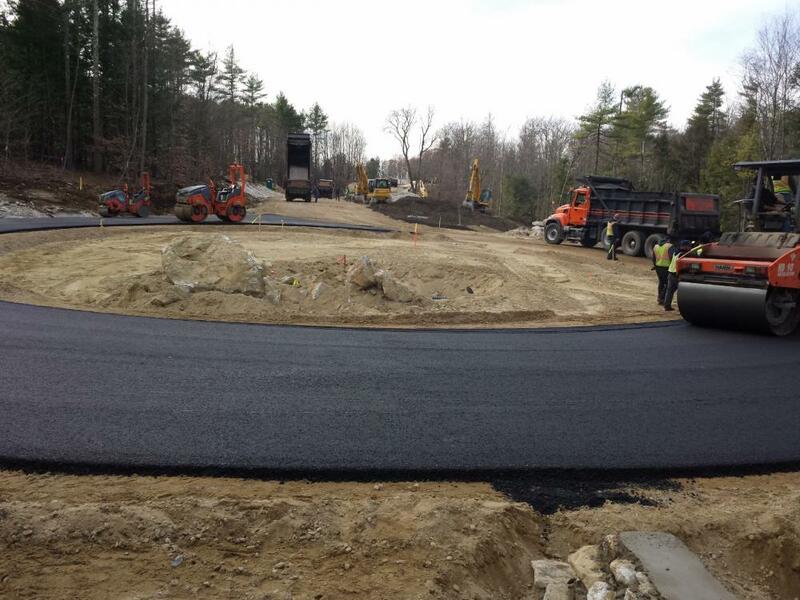 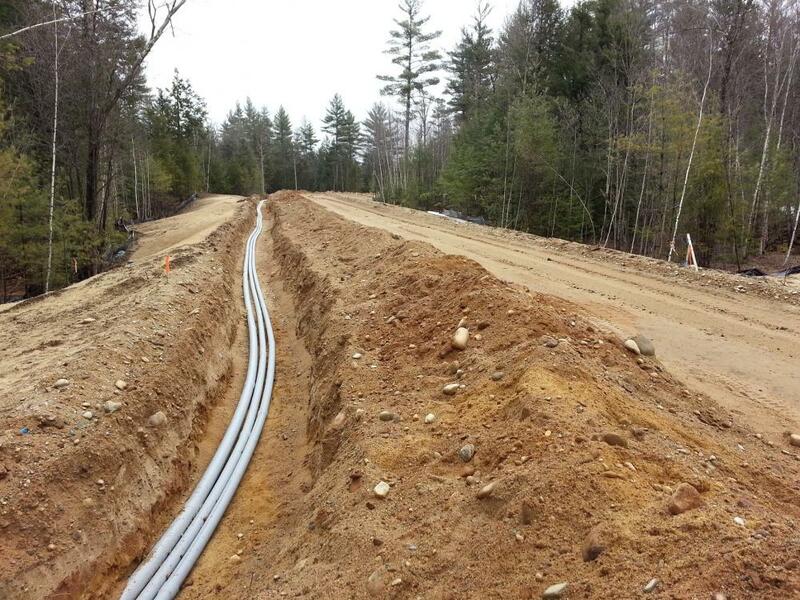 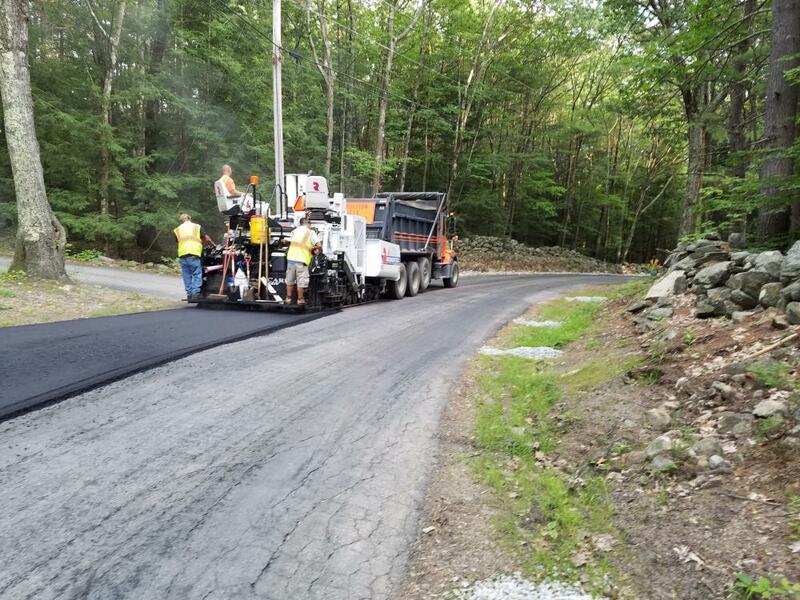 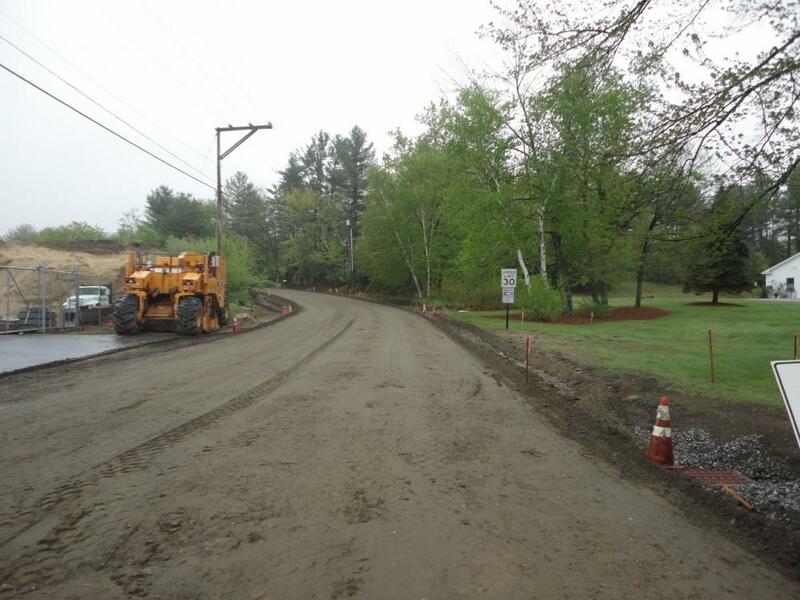 This project involved drainage and paving improvements to Roberts Road in Litchfield. 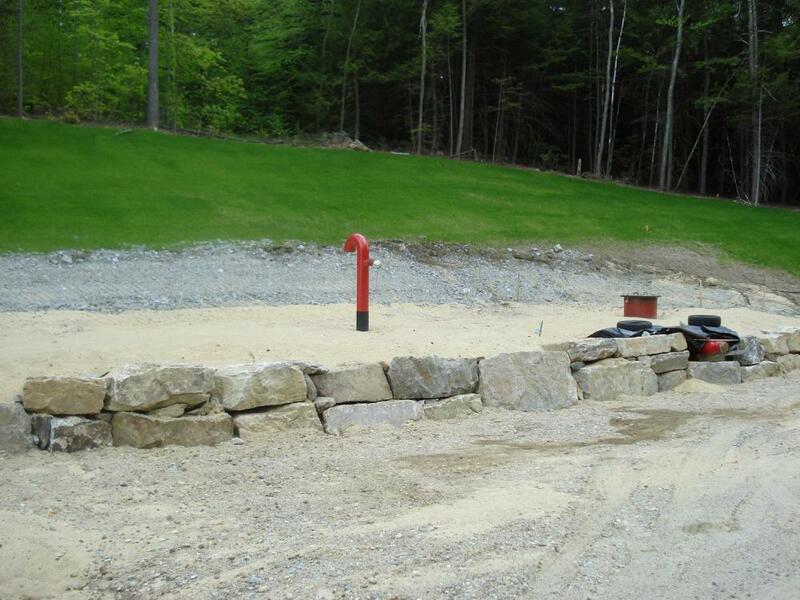 Northpoint designed and permitted the project and then oversaw the construction. 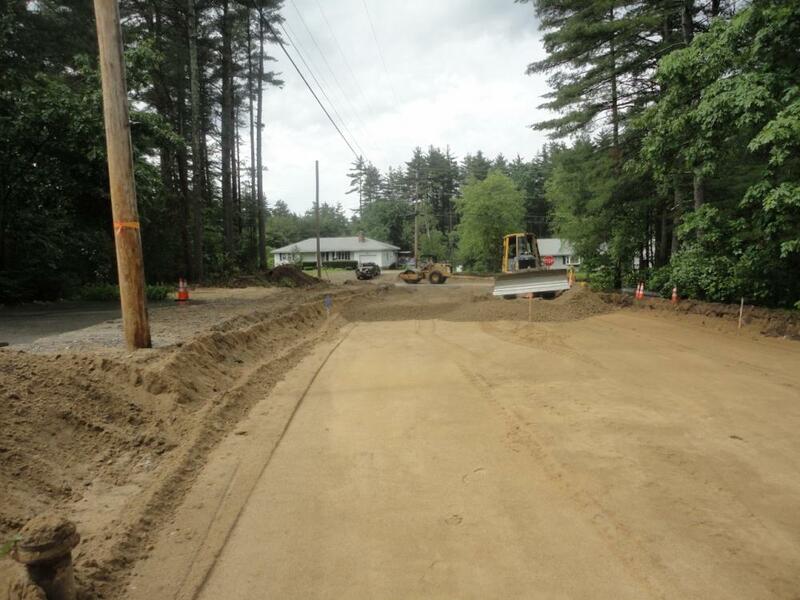 Roberts Road was reclaimed in place from Colby Road to Robyn Avenue. 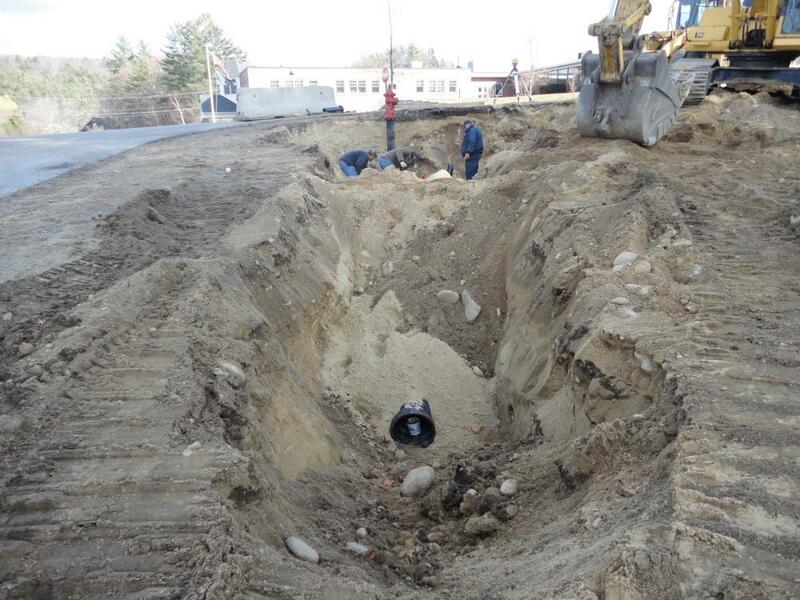 Portions of the existing drainage system were replaced and additional drainage added. 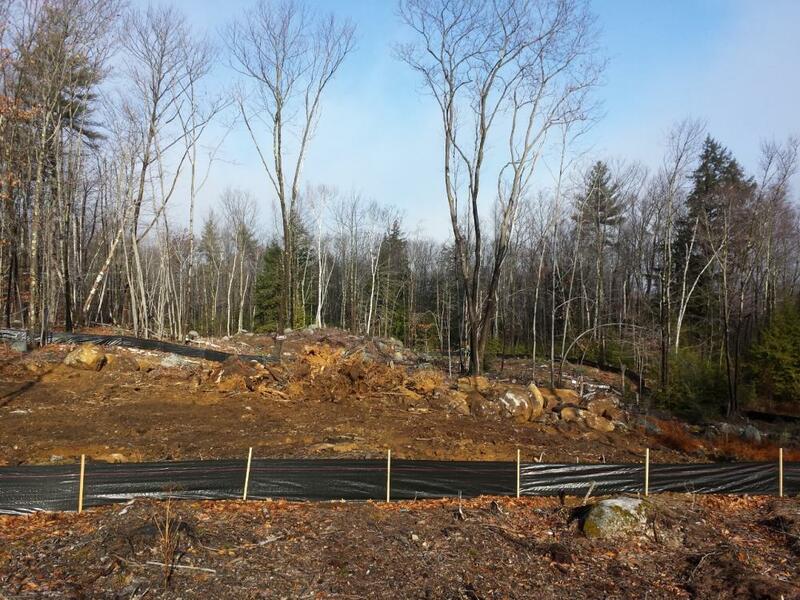 Northpoint provided technical review services on behalf of the New Boston Planning Board for this proposed 26 lot subdivision. 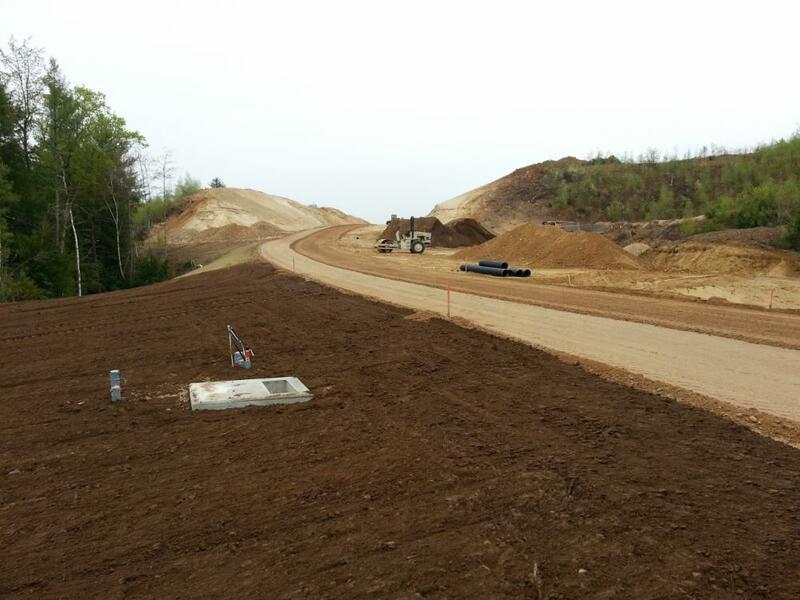 Northpoint provided construction monitoring and administration services during the construction of the roadway and associated infrastructure. 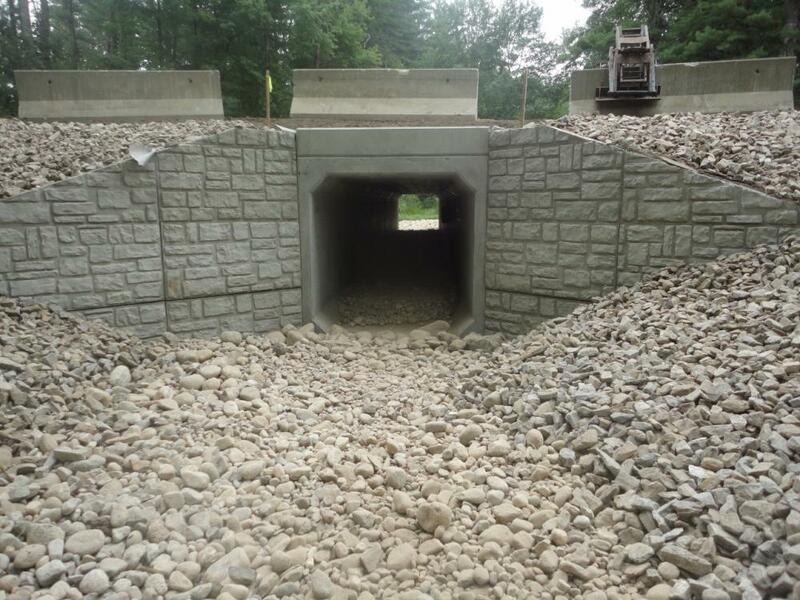 In addition to multiple technical reviews of the subdivision, reviews were completed on a precast box culvert and associated material submittals. 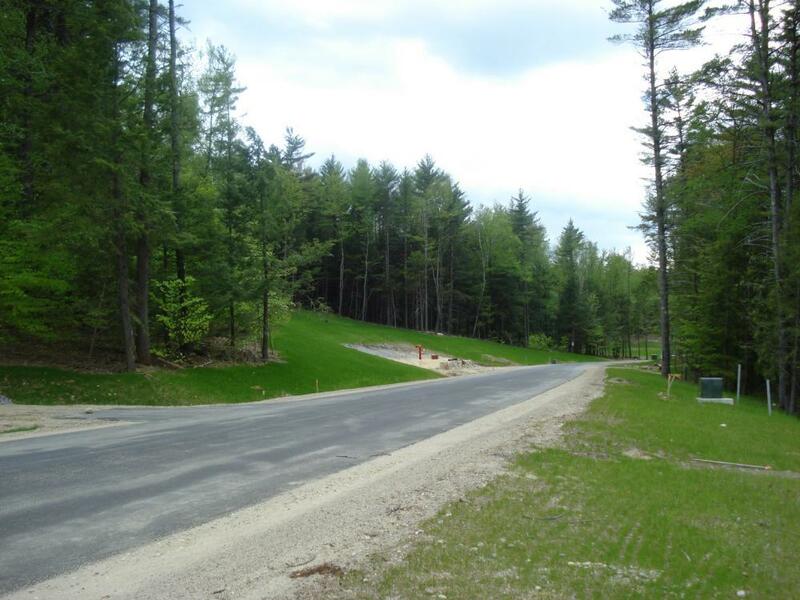 The unique topography resulted in a roadway design requiring very large cuts and fills. 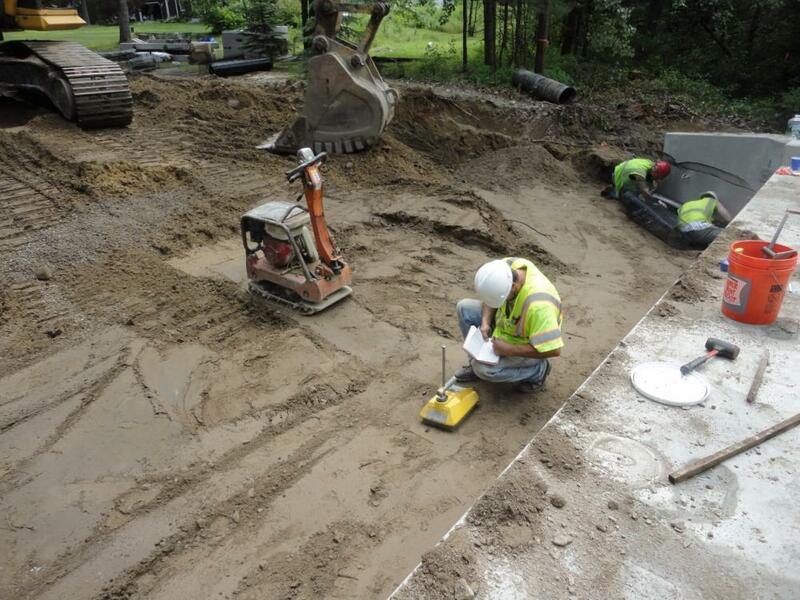 In addition to required infrastructure improvement inspections, routine compaction testing and specialized infiltration basin flow rate testing was coordinated. 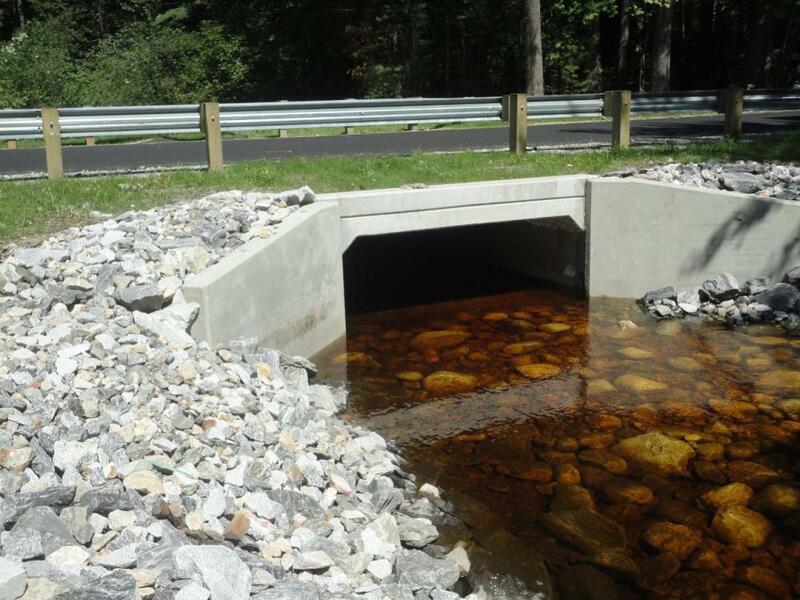 This municipal design project was an existing stream crossing over Sand Brook on Gould Pond Road in Hillsborough. 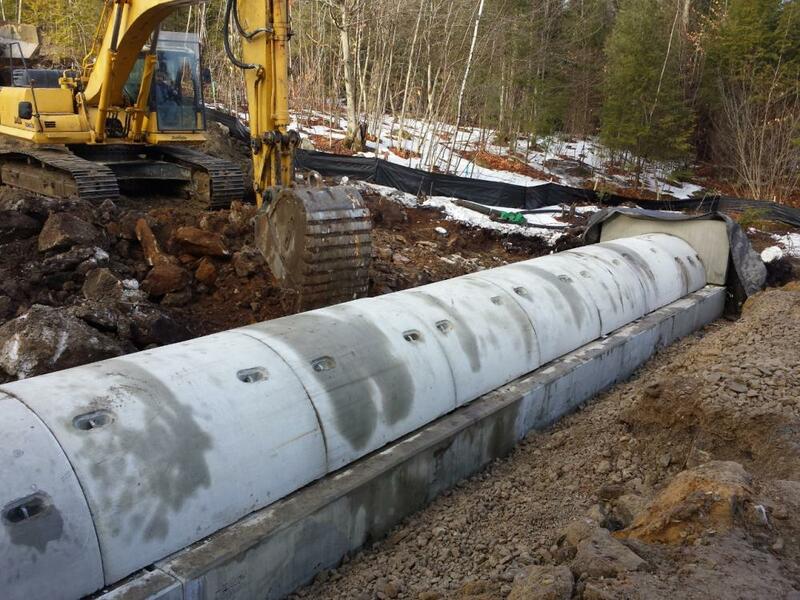 Northpoint worked directly with the Town on the design of a replacement structure for an existing 96-inch culvert. 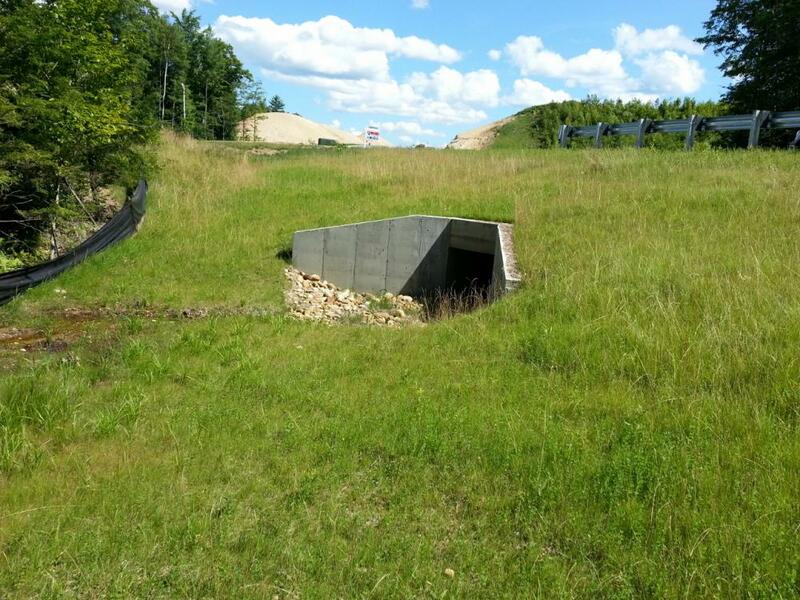 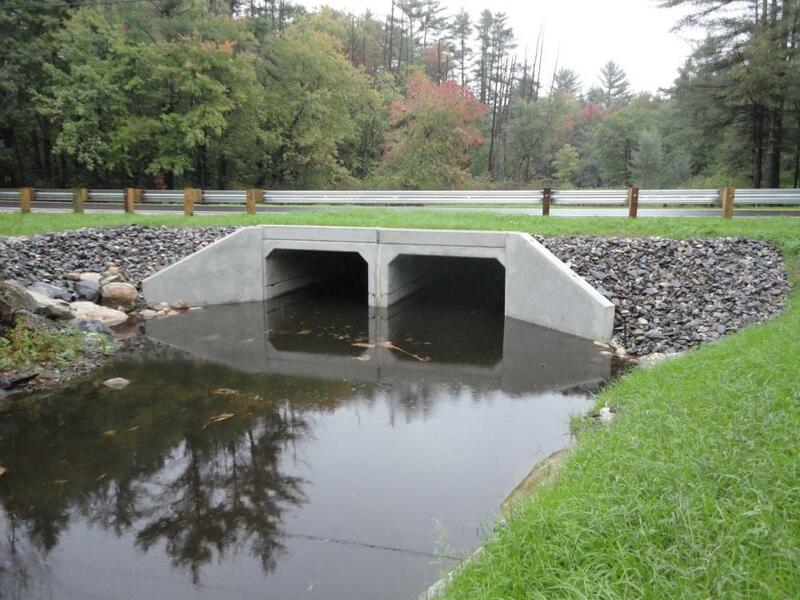 A new 13-foot wide by 6-foot high, rigid frame, box culvert was designed and installed. 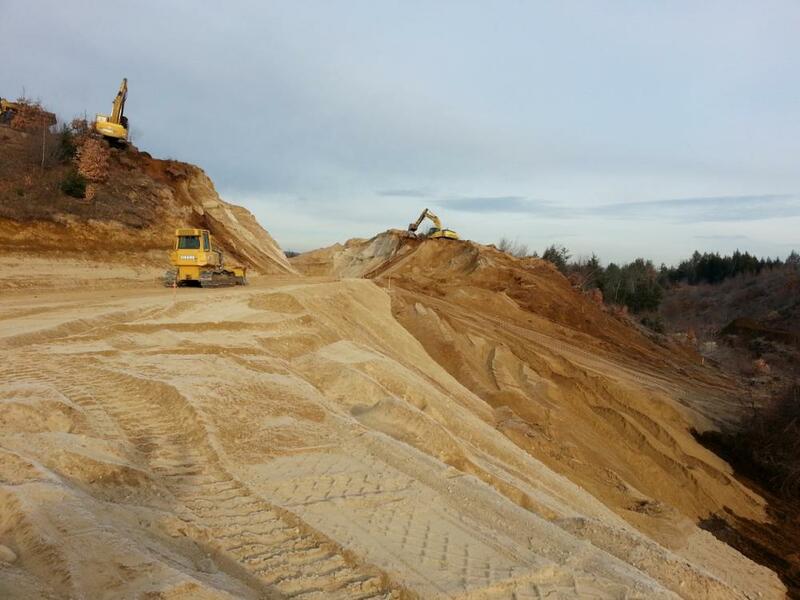 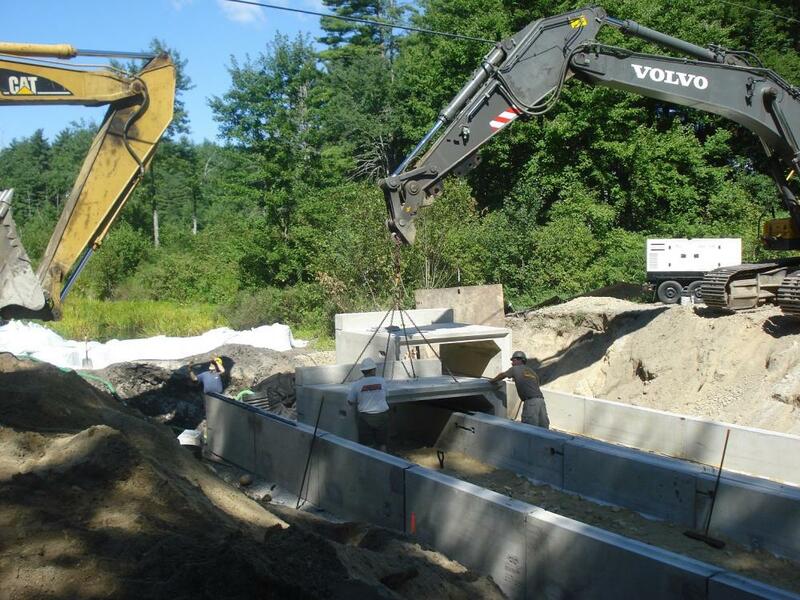 Northpoint administered the permitting process through NHDES and provided bidding and construction observation services. 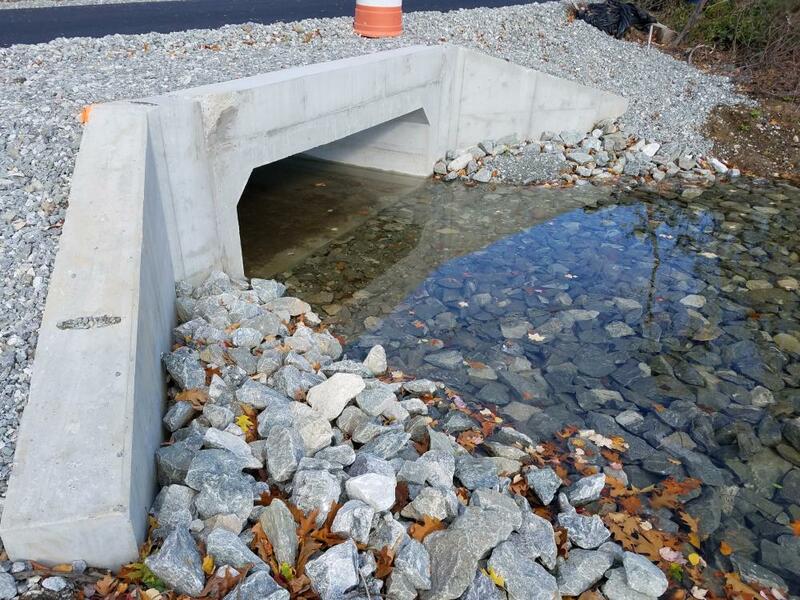 This project involved the installation of a new box culvert and the realignment of an existing intersection at Page Road and Cutler Road in Litchfield. 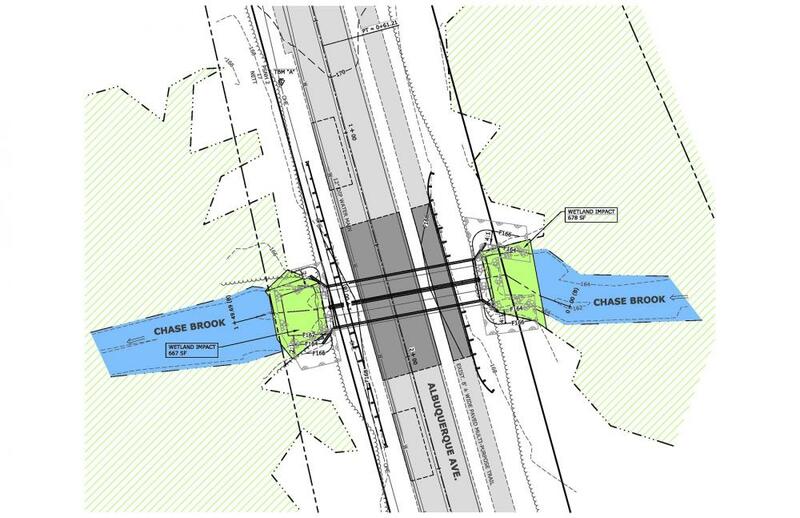 Northpoint designed and permitted the box-culvert replacement and prepared the construction and bid documents for all of the proposed improvements. 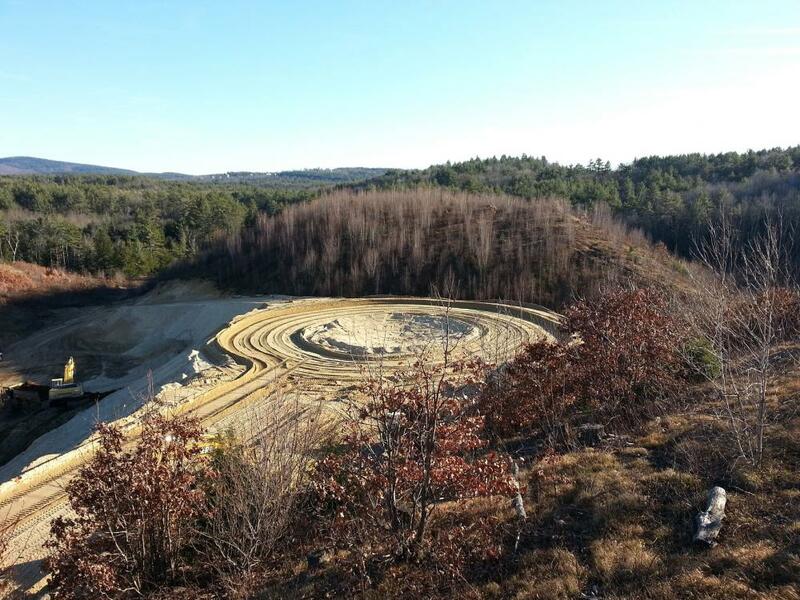 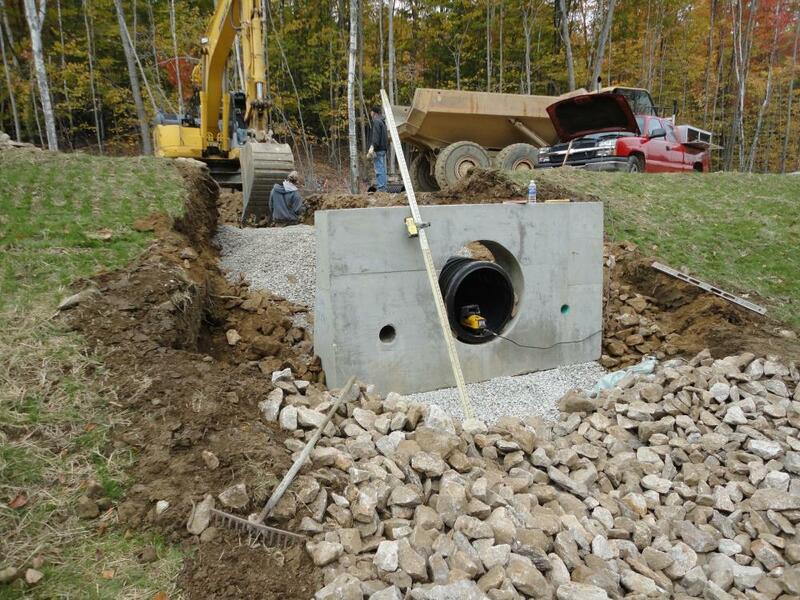 We oversaw all construction work including: water main relocation, installation of a water diversion structure, installing a box culvert, stabilization of slopes, erosion control maintenance, guardrail installation and paving. 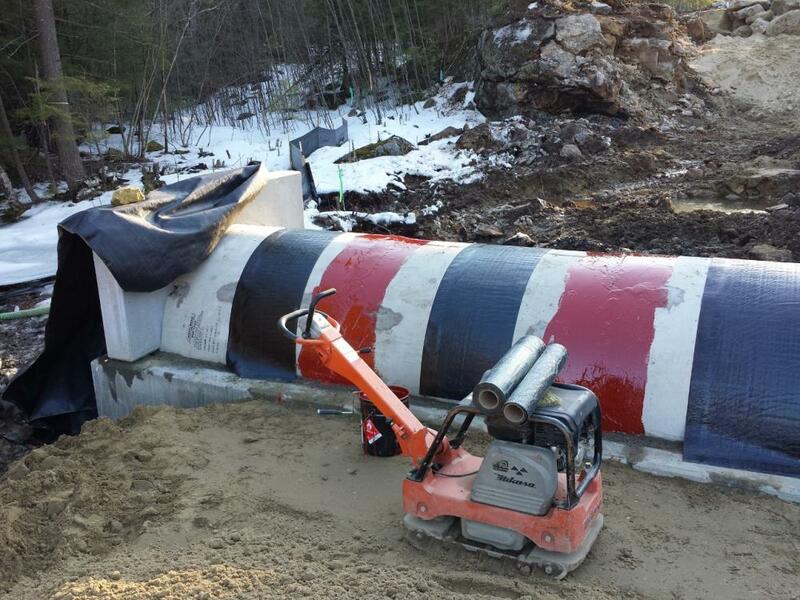 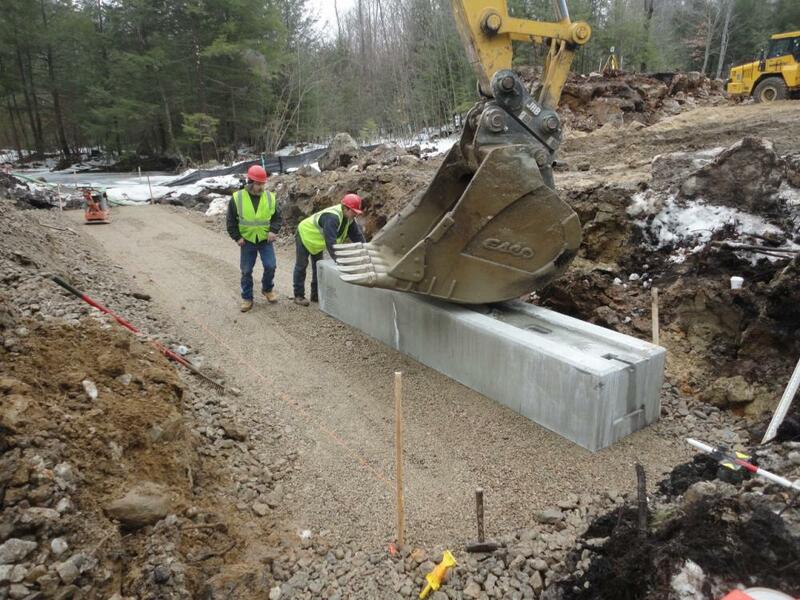 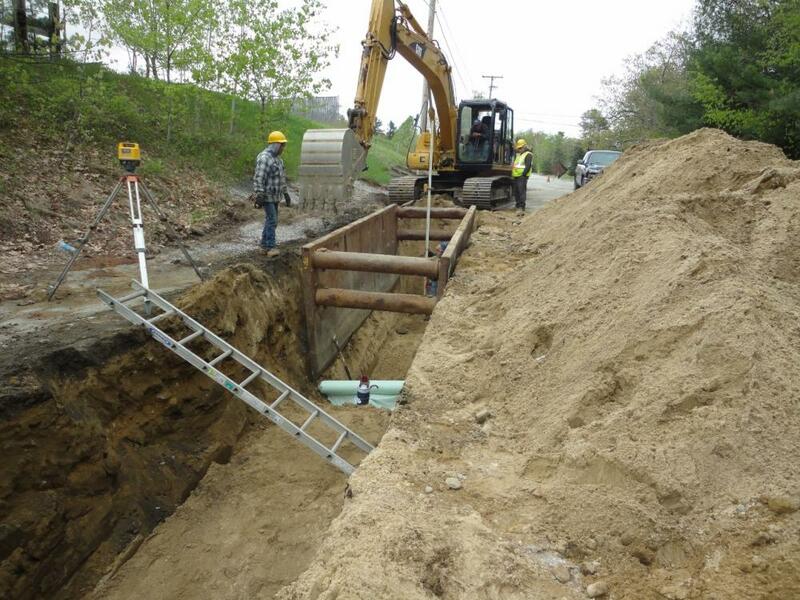 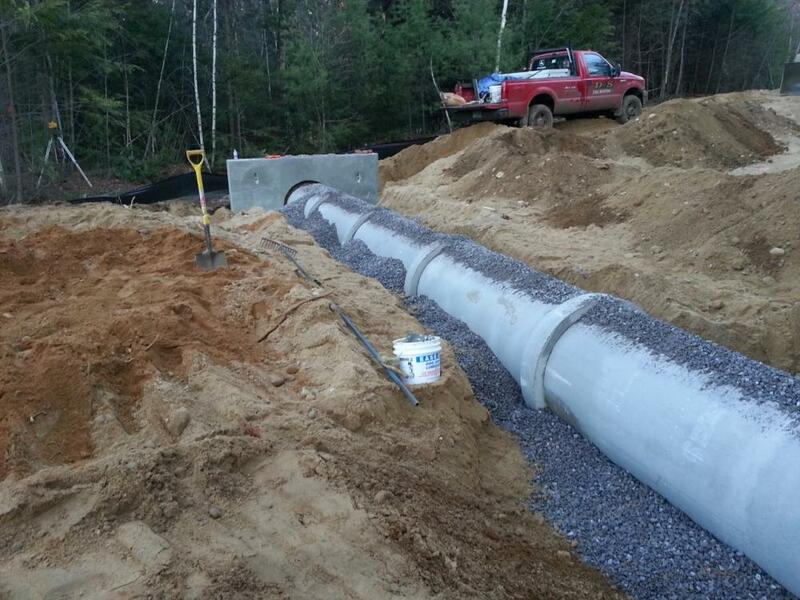 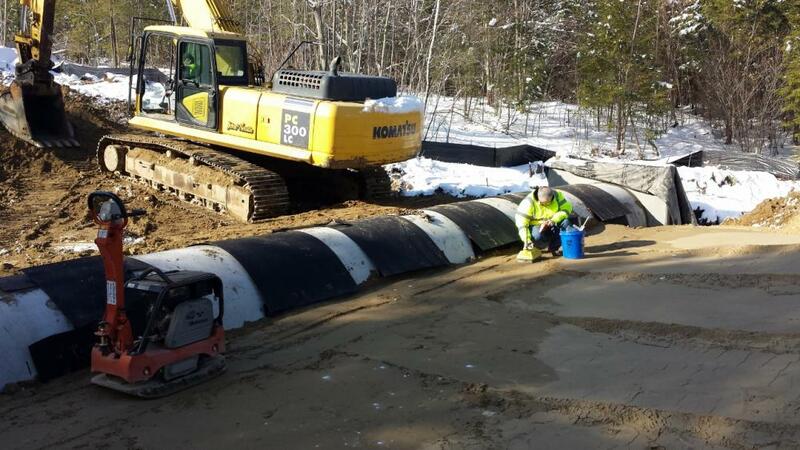 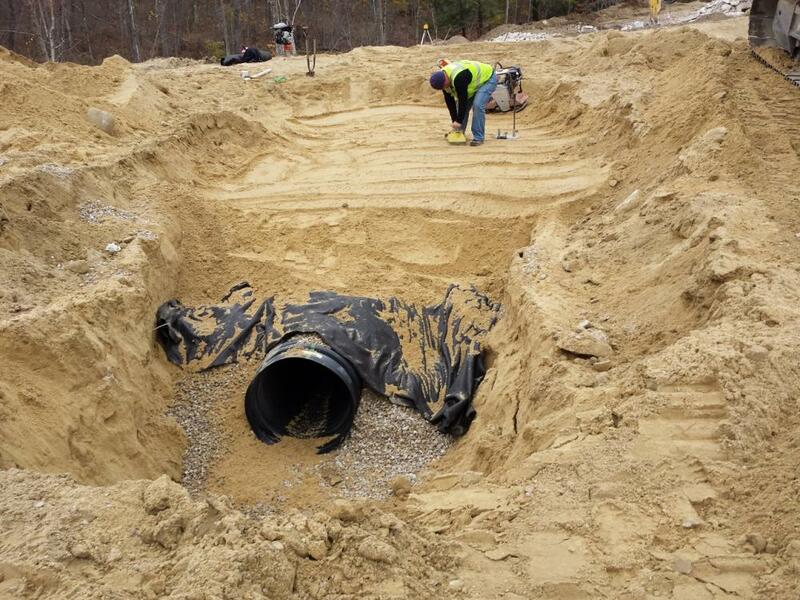 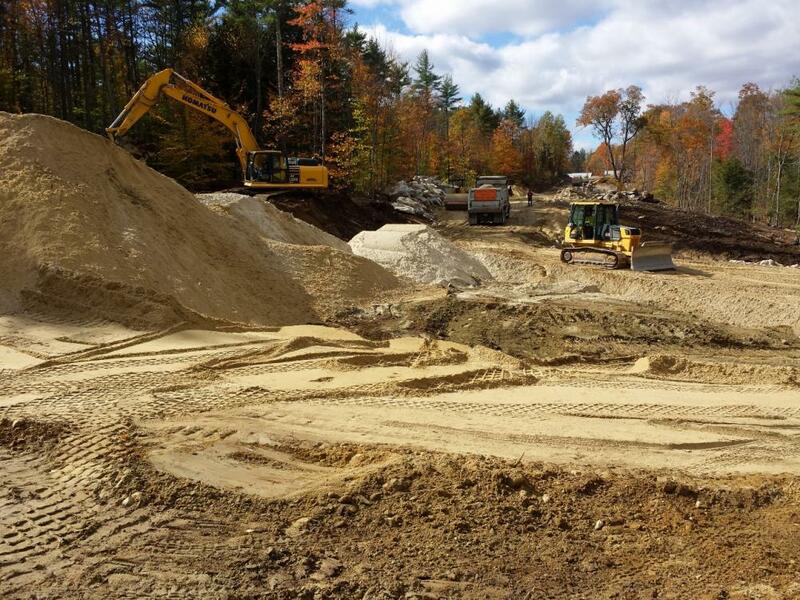 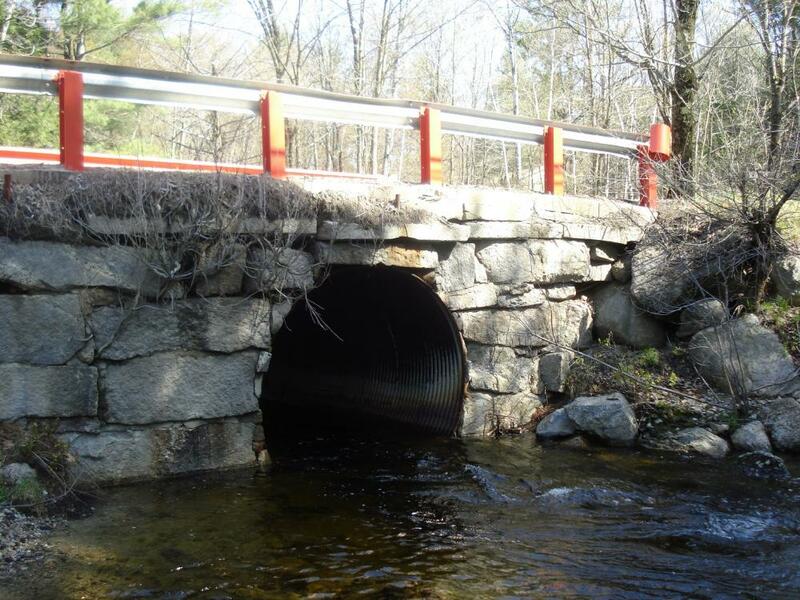 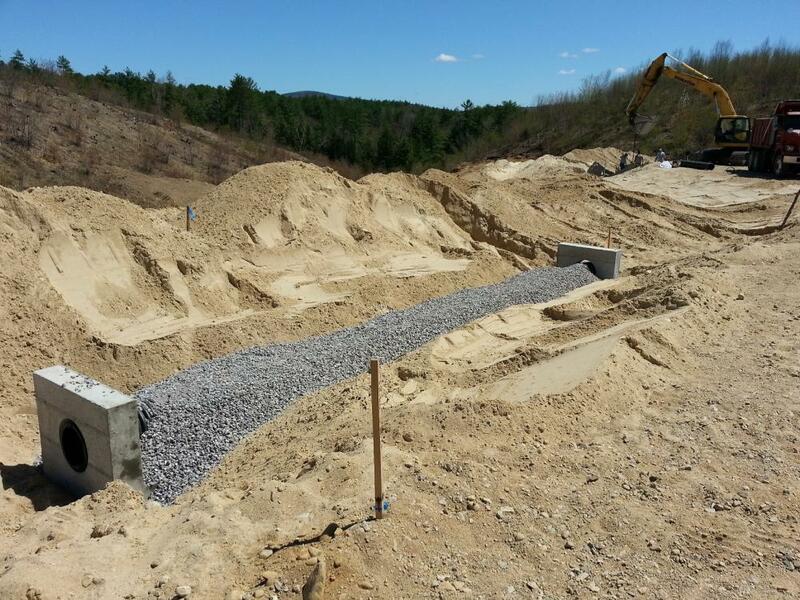 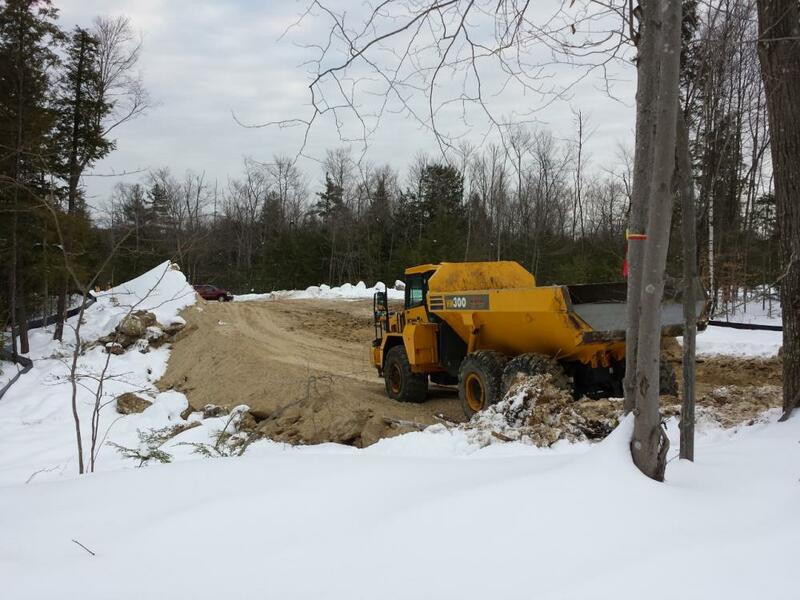 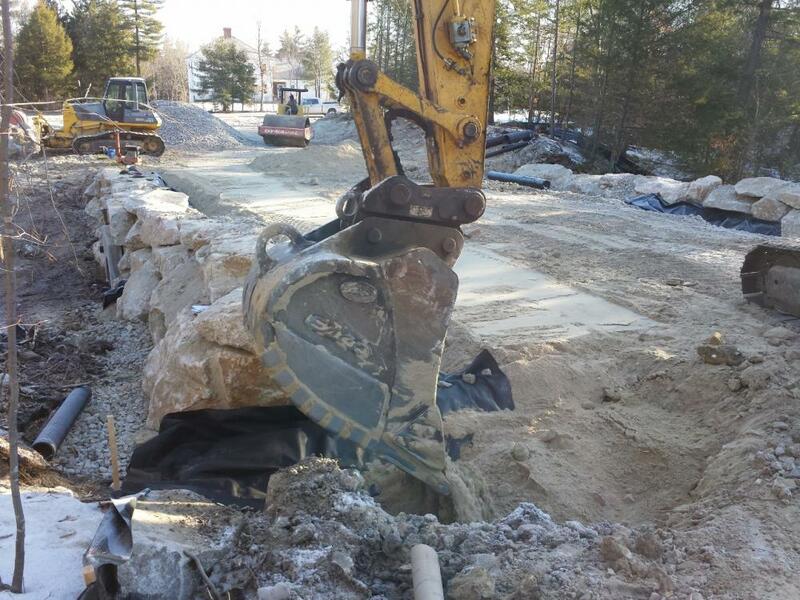 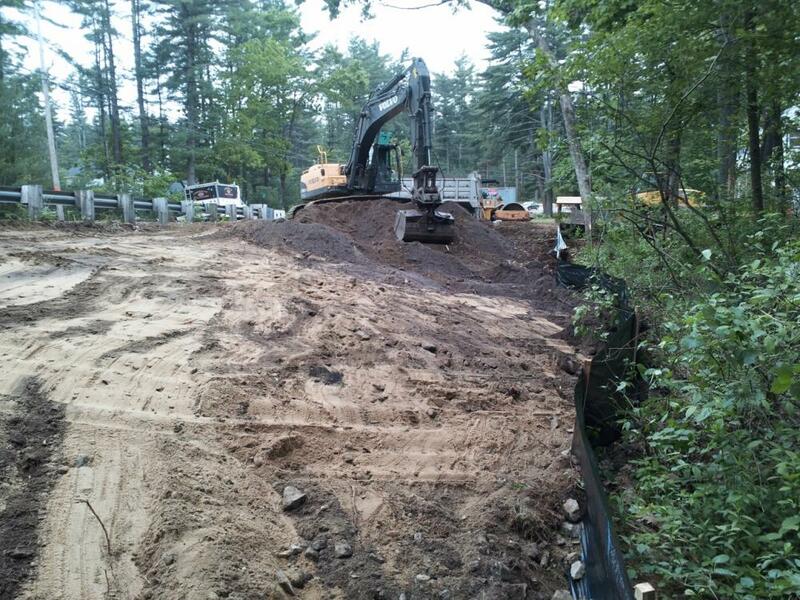 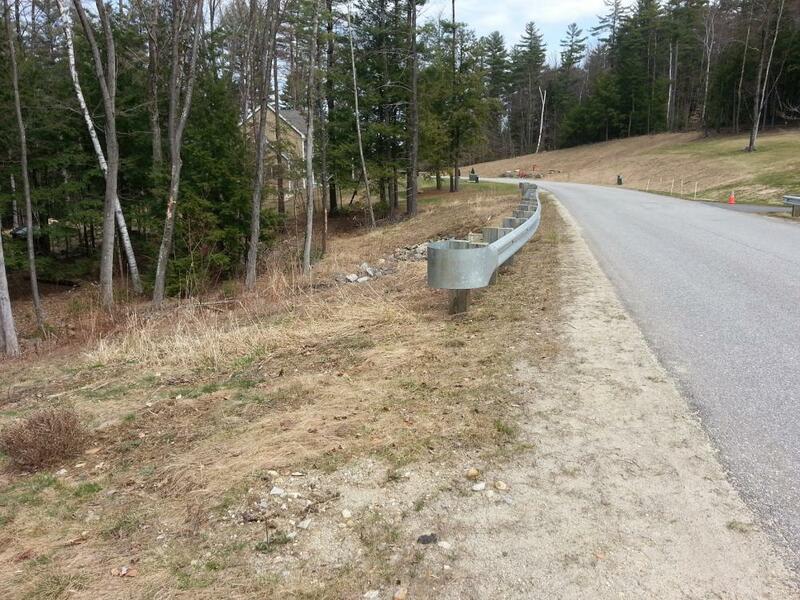 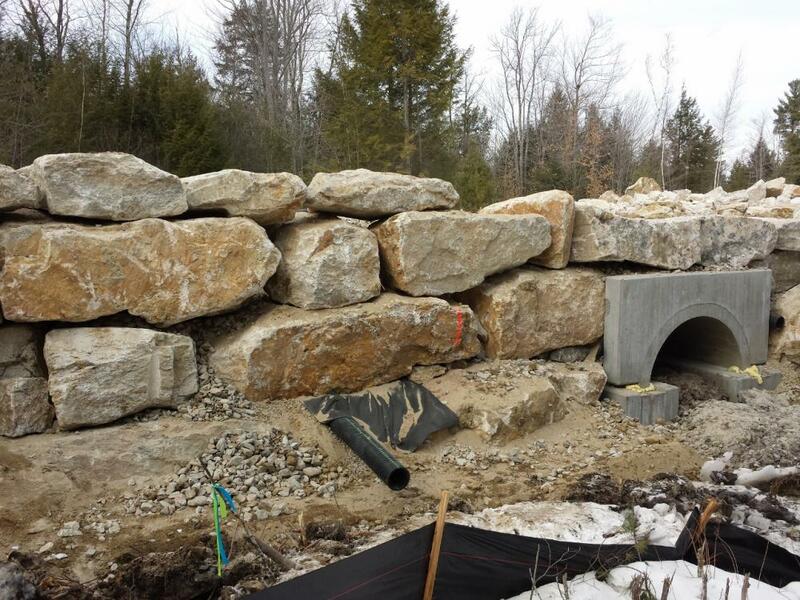 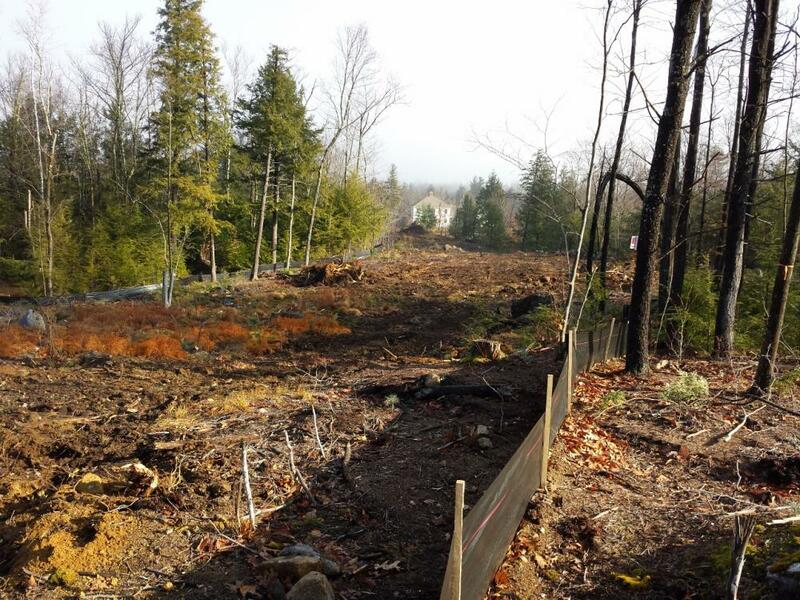 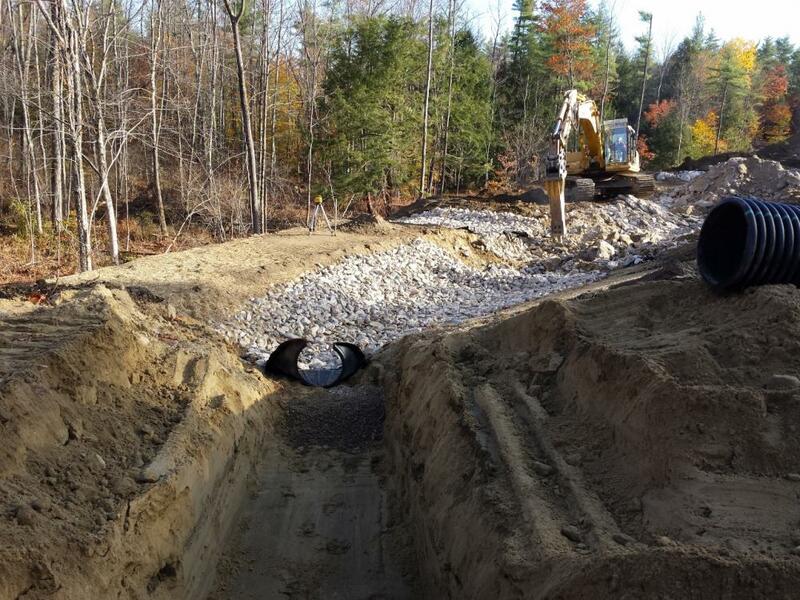 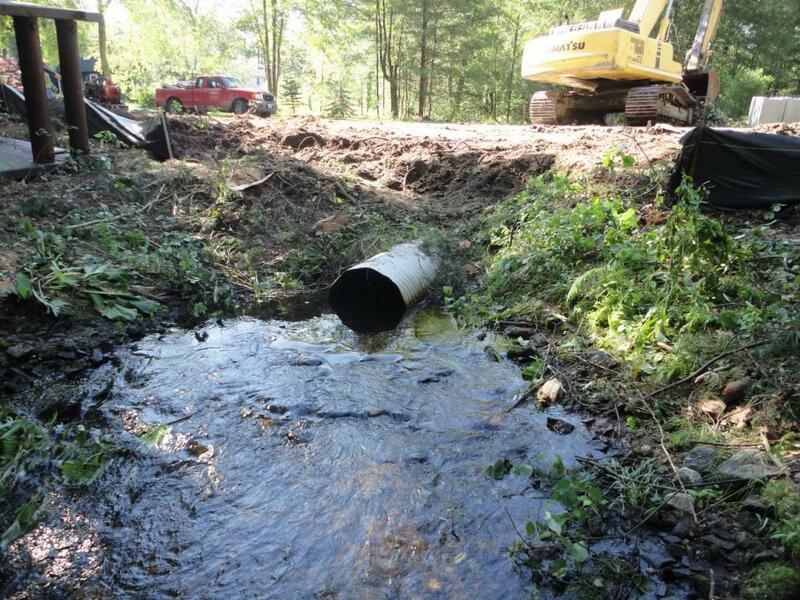 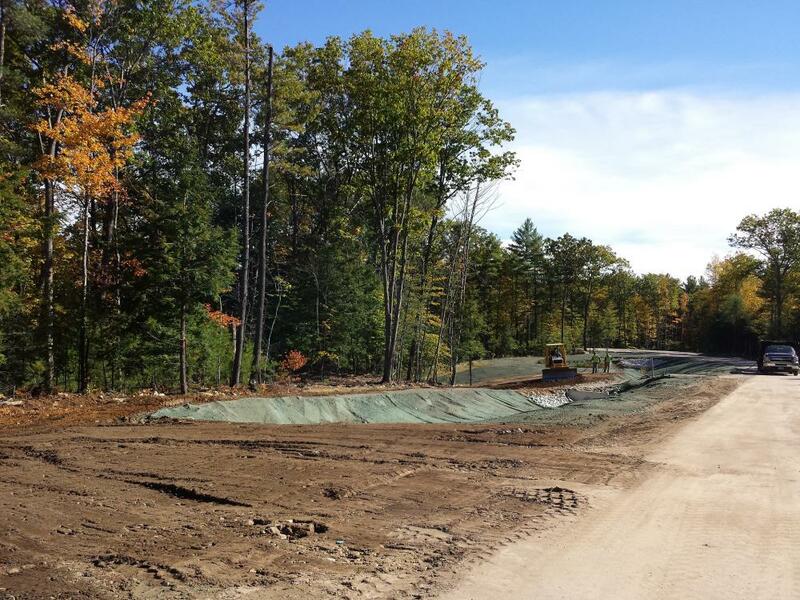 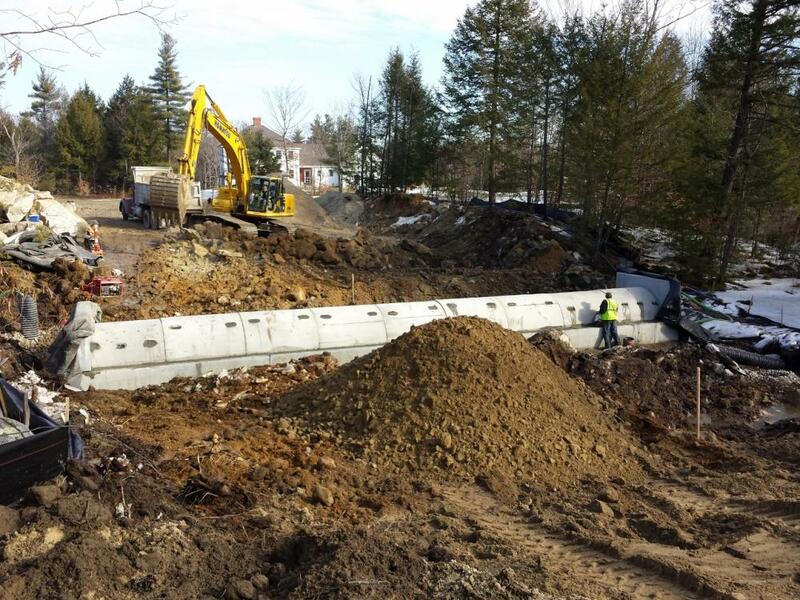 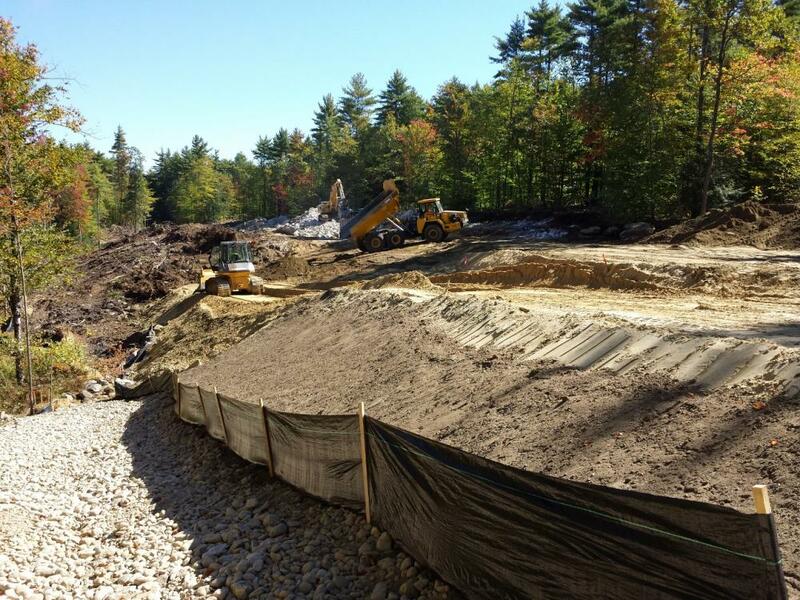 This project was to replace the existing culvert located on Cranberry Lane in Litchfield. 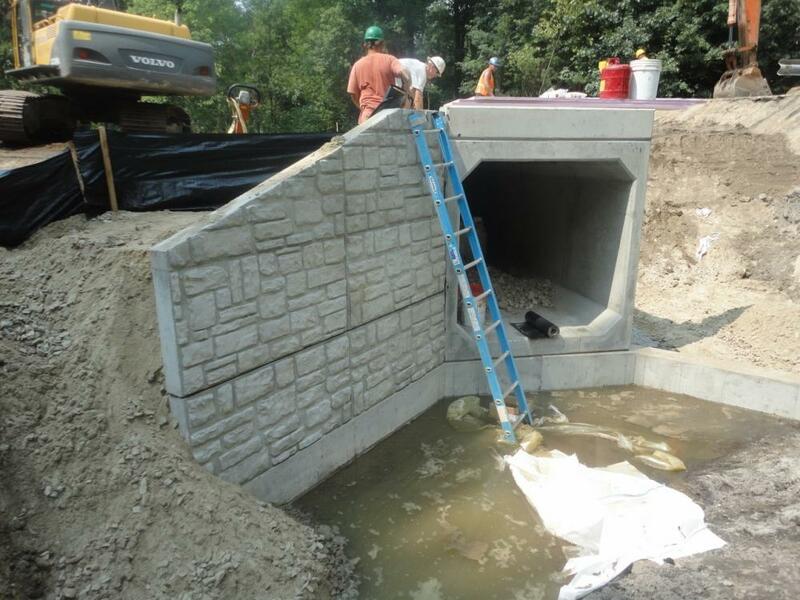 Northpoint designed and permitted the box-culvert replacement and then oversaw the construction. 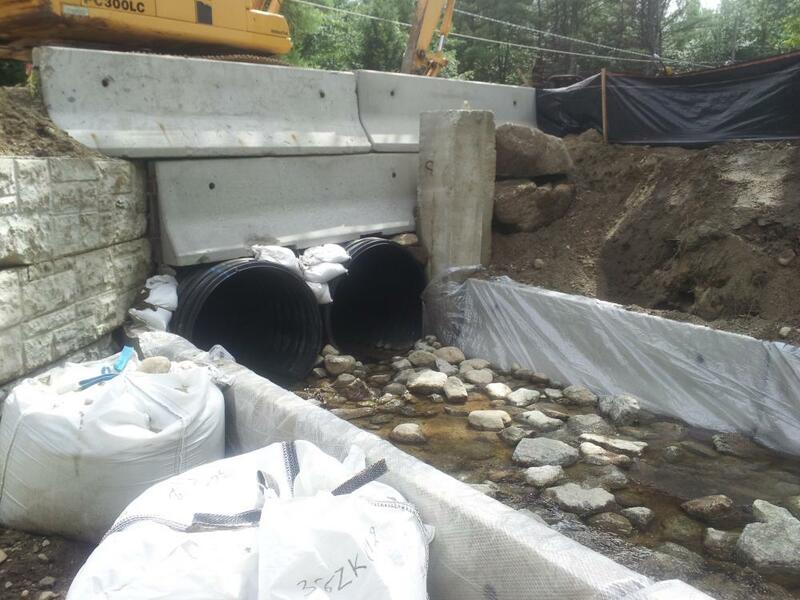 The work included installation of a water diversion structure, installing a box culvert, stabilization of slopes, erosion control maintenance, guardrail installation and paving. 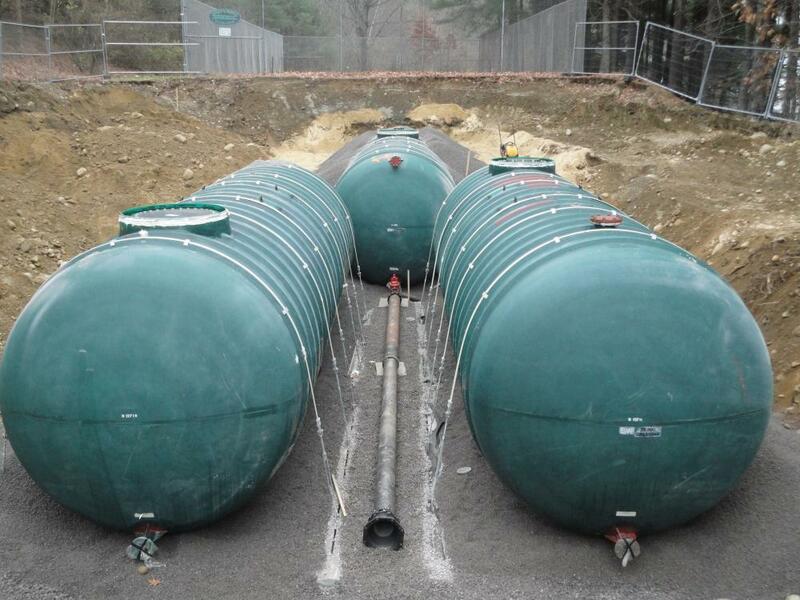 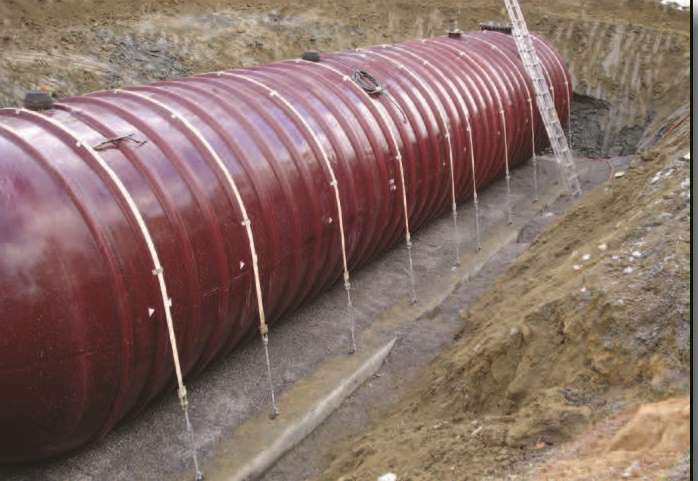 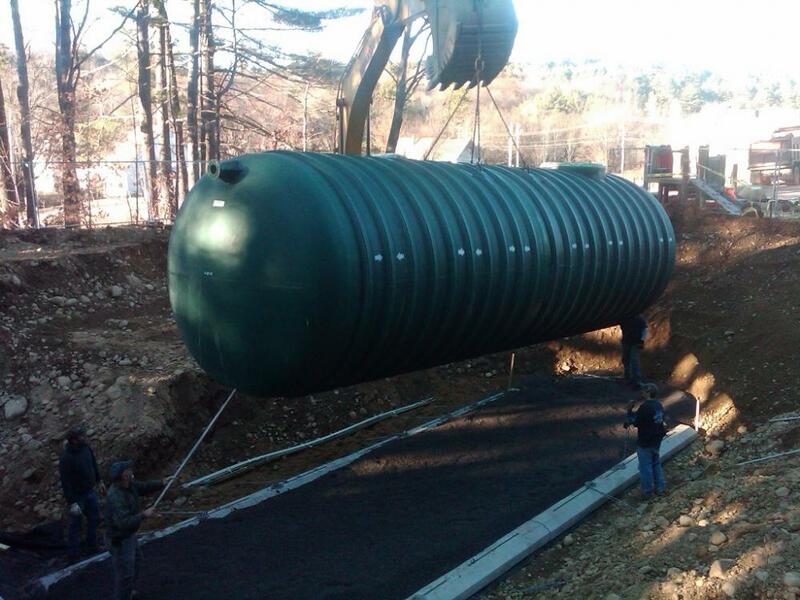 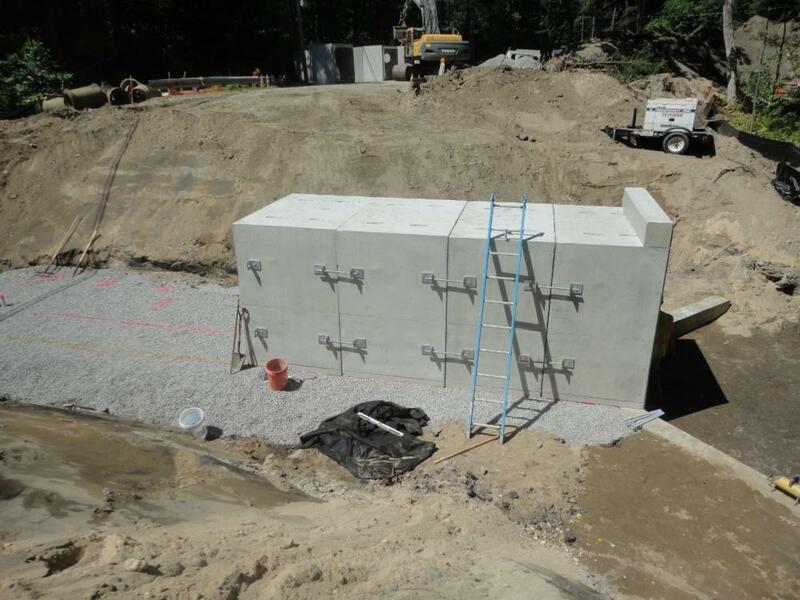 Northpoint worked directly with the New Boston Fire Department and the selected construction team on the planning, design and implementation of a proposed fire cistern system to serve as a critical fire-fighting resource in the New Boston Village area. 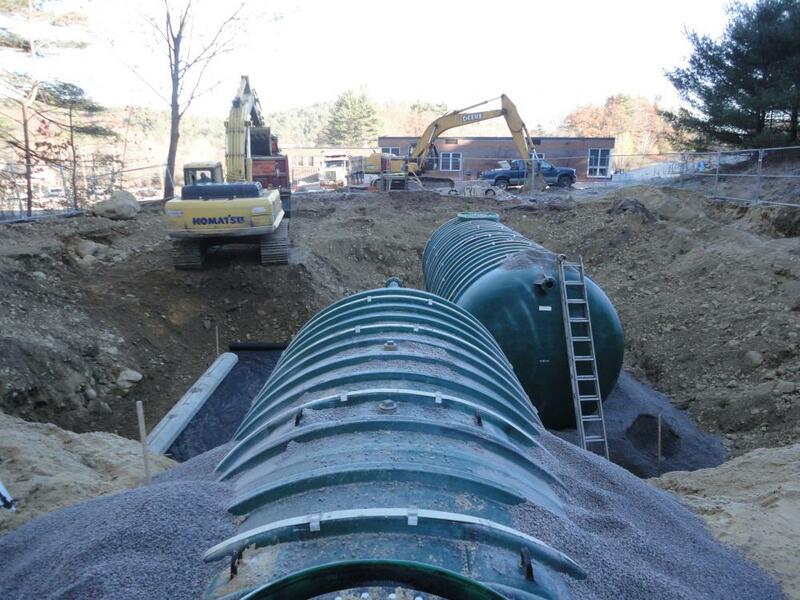 Northpoint prepare detailed construction plans for this new 60,000 gallon cistern improvement project located on the New Boston Central School property in the center village area. 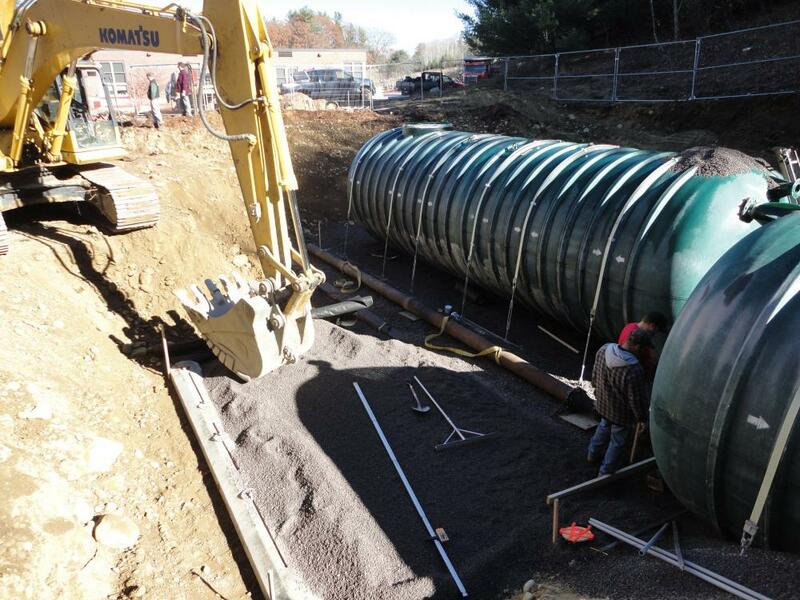 We provided construction monitoring throughout the cistern installation in order to assure that the proposed improvements were constructed in conformance with the project plans and specifications. 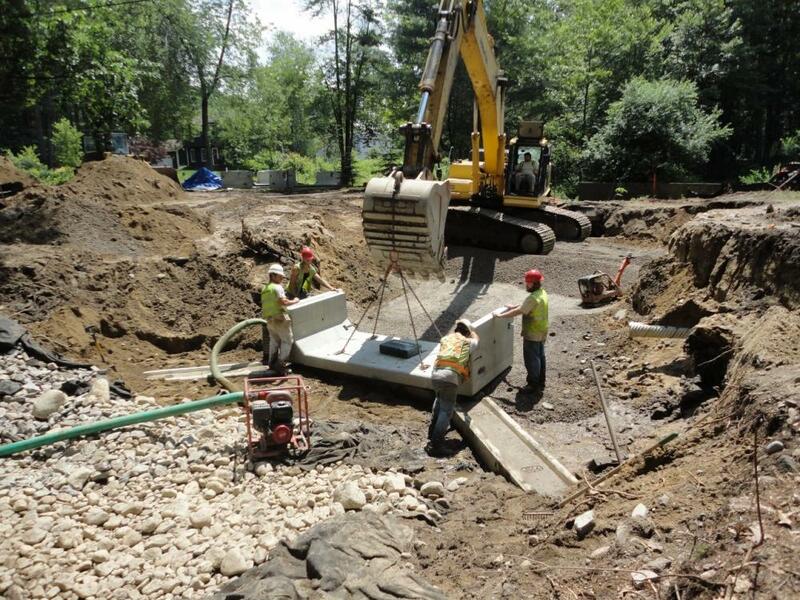 This project was to replace the existing culvert located on Albuquerque Avenue in Litchfield. 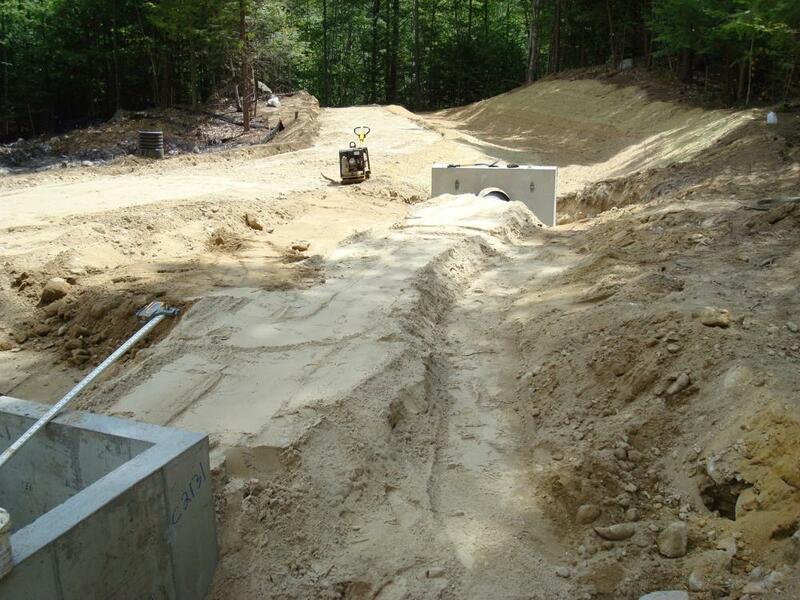 Northpoint designed and permitted the box-culvert replacement and then oversaw the construction work performed by American Excavating. 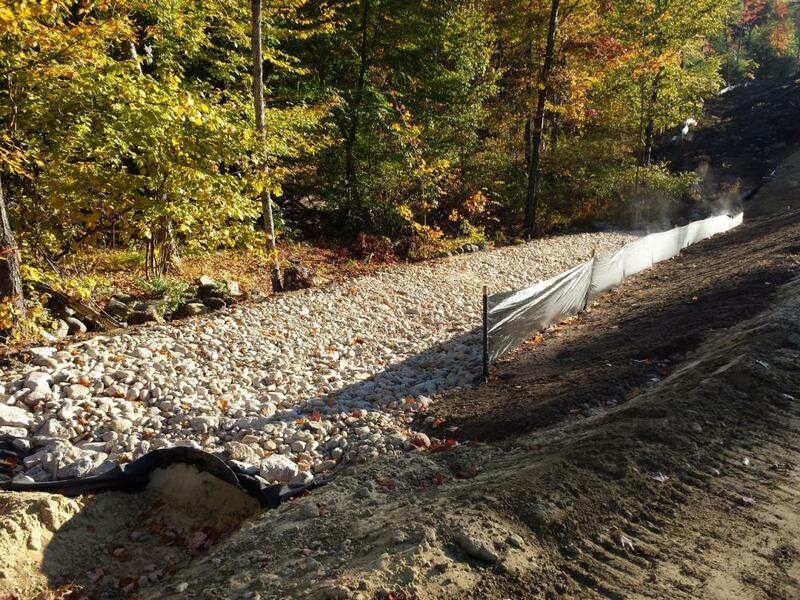 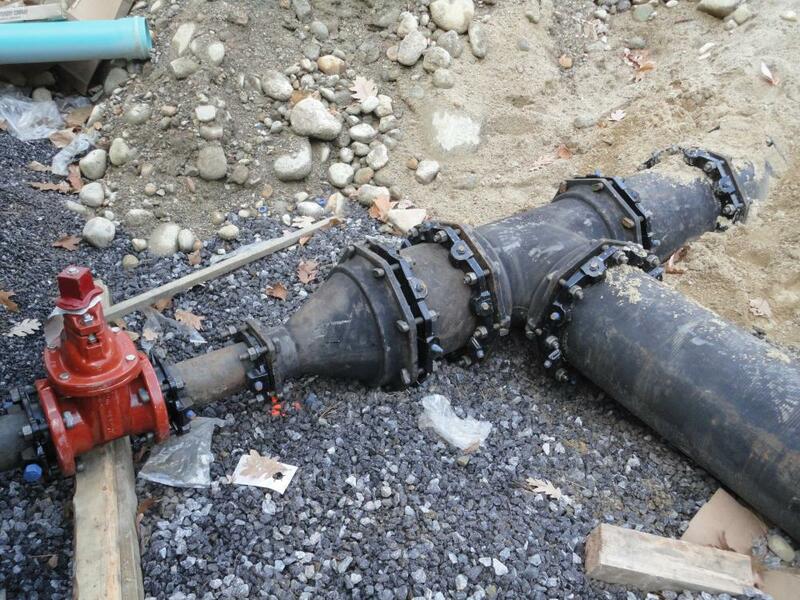 The work included directional drilling of the water main and connection to the existing water main, installation of a water diversion structure, installing a box culvert, stabilization of slopes, erosion control maintenance, guardrail installation and paving. 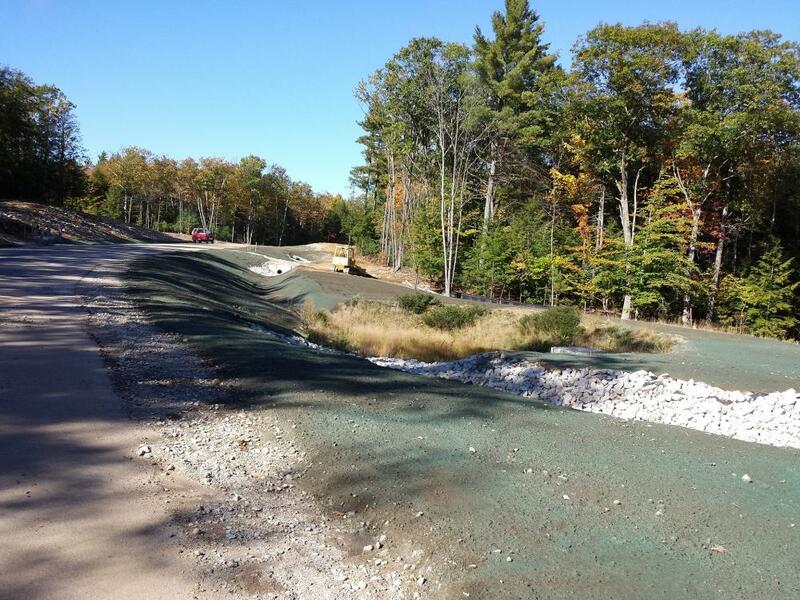 Northpoint provided all components of the civil/site engineering design and administered the local permitting process. 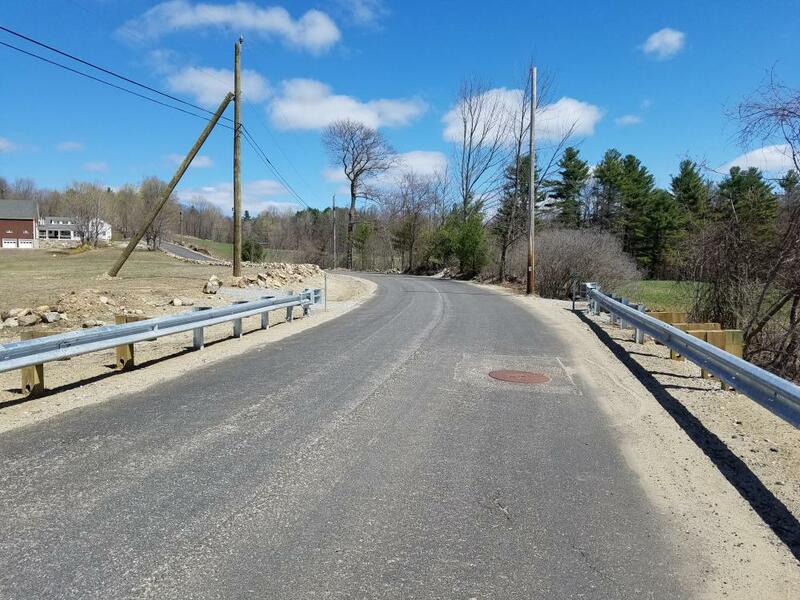 On behalf of the Town of New Boston Planning Board, Northpoint Engineering performed technical review of the design plans during the local approval process. 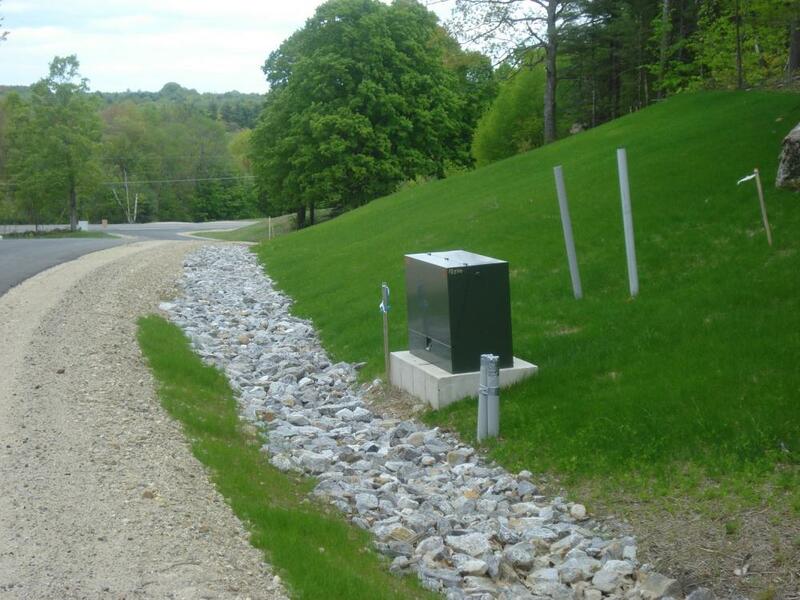 When the project proceeded to construction, Northpoint commenced construction monitoring and administration services on behalf of the Town to verify the proposed infrastructure improvements were constructed to the approved plans. 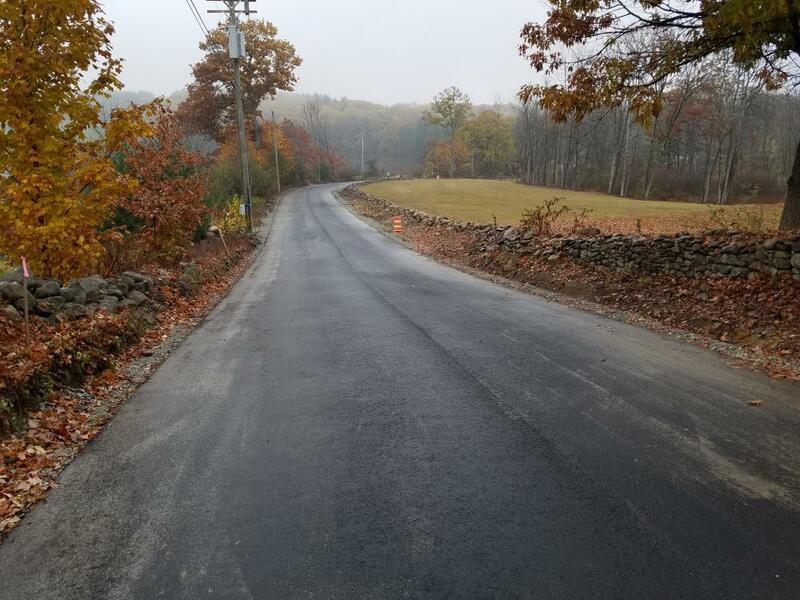 The proposed 24-lot single-family subdivision is accessed from Christian Farm Drive, a 2,900 linear foot cul-de-sac off of NH Route 136. 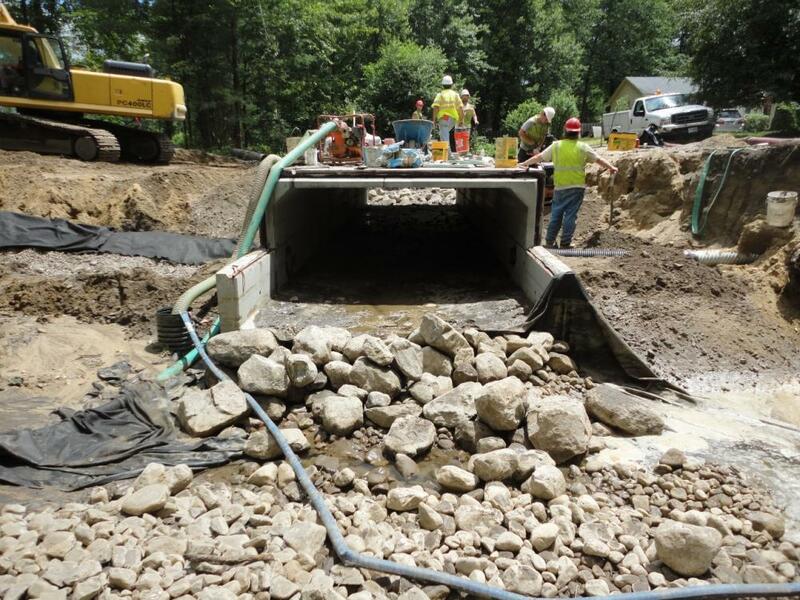 Infrastructure improvements associated with the roadway included: underdrain, open drainage systems, three stormwater management basins, wetland crossing with retaining walls and guardrail, underground utilities, and a 30,000 gallon fire cistern. 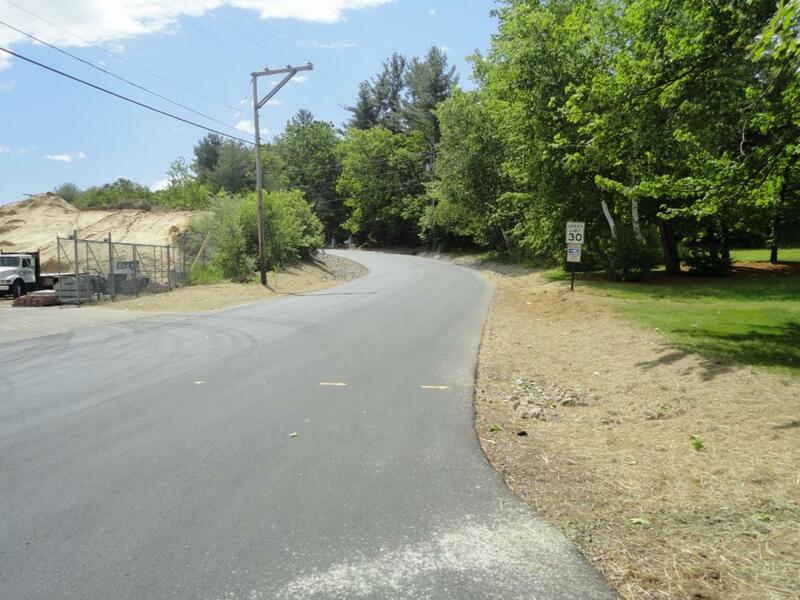 Russell Martin Park is located on the north side of Iron Works Road in Concord. 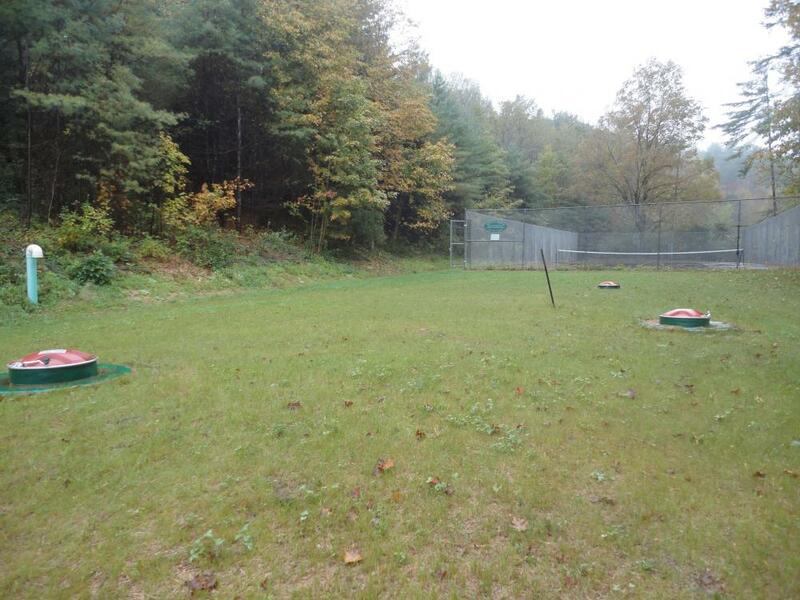 It is a 29-acre city park that contains a combination of passive recreational areas and athletic fields. 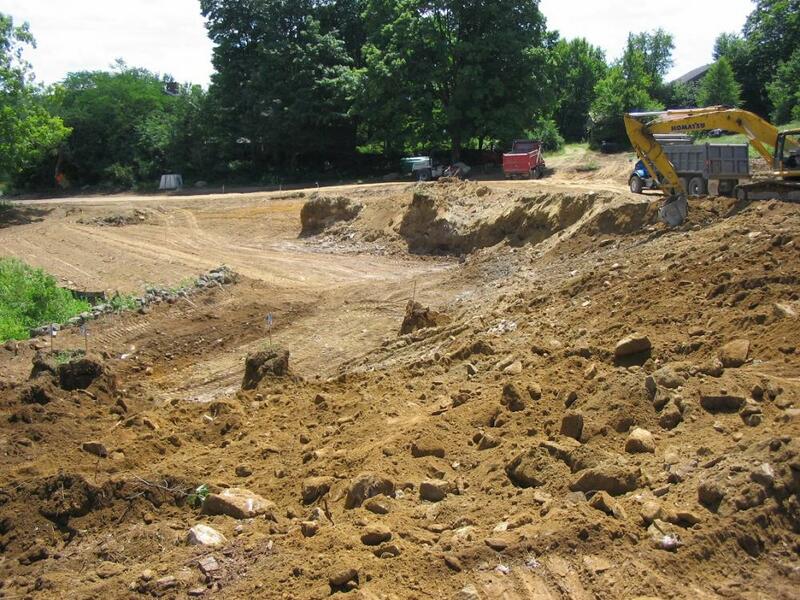 The project consisted of the construction of a new Little League baseball field located in the northwest corner of the park, adjacent to an existing softball field. 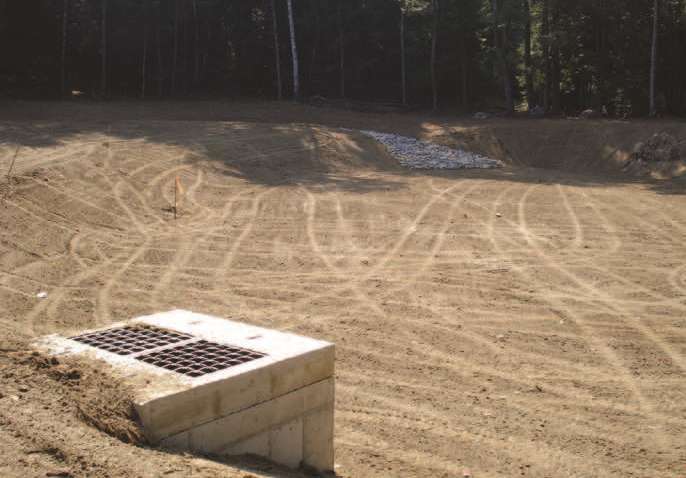 The project included the baseball field construction, associated parking area, walkway and a subsurface drainage system. 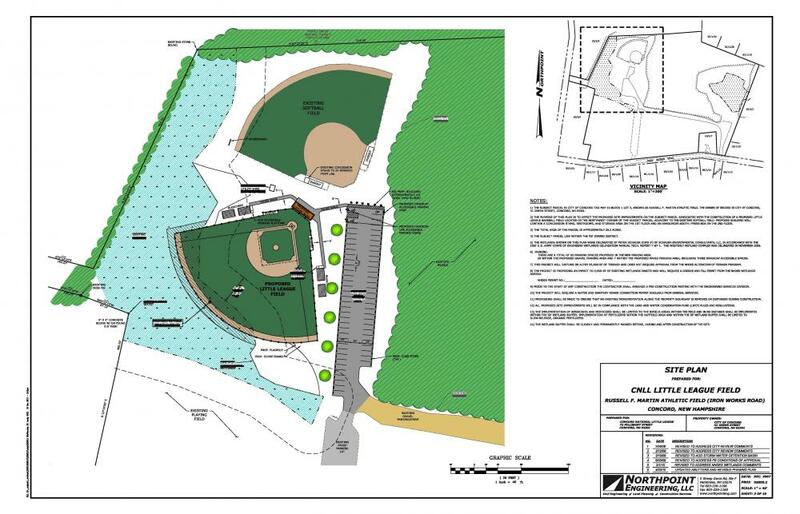 Northpoint worked with the local Little League and various City departments to develop a workable layout for the proposed field and related improvements. 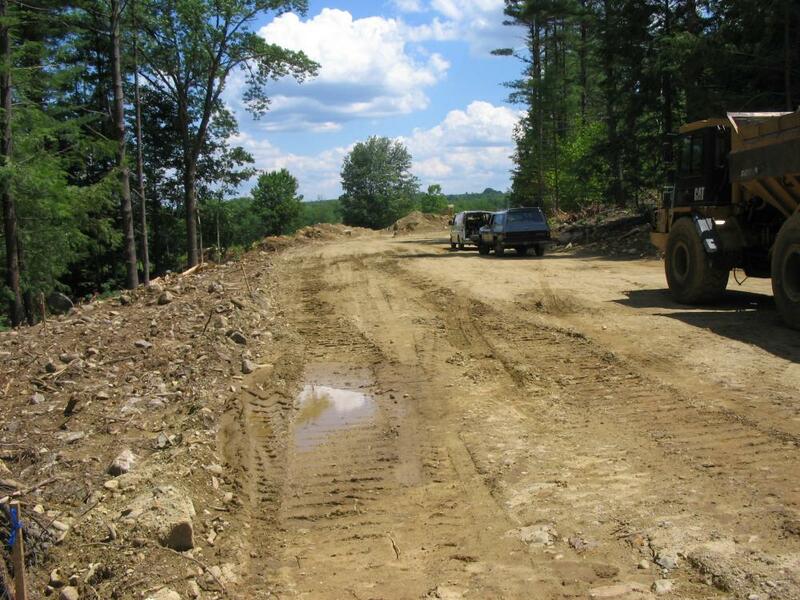 We provided all components of the civil/site engineering design and administered the local permitting process. 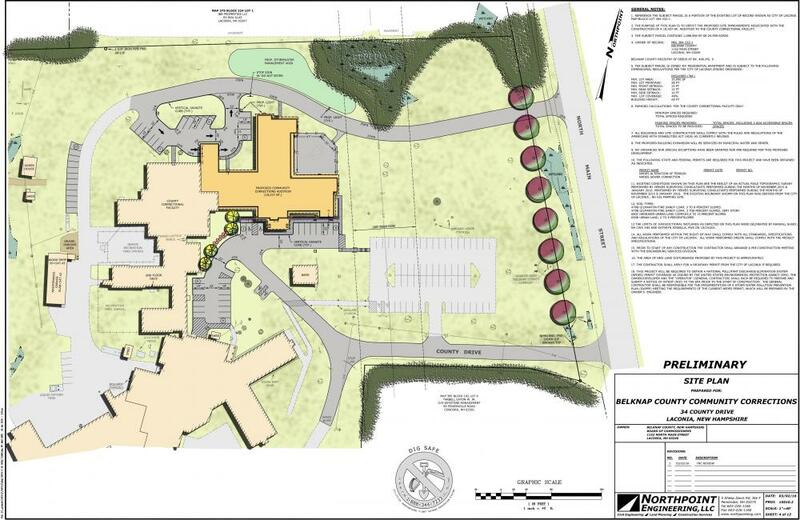 Northpoint provided technical review services on behalf of the Planning Board for this proposed 9-lot subdivision. 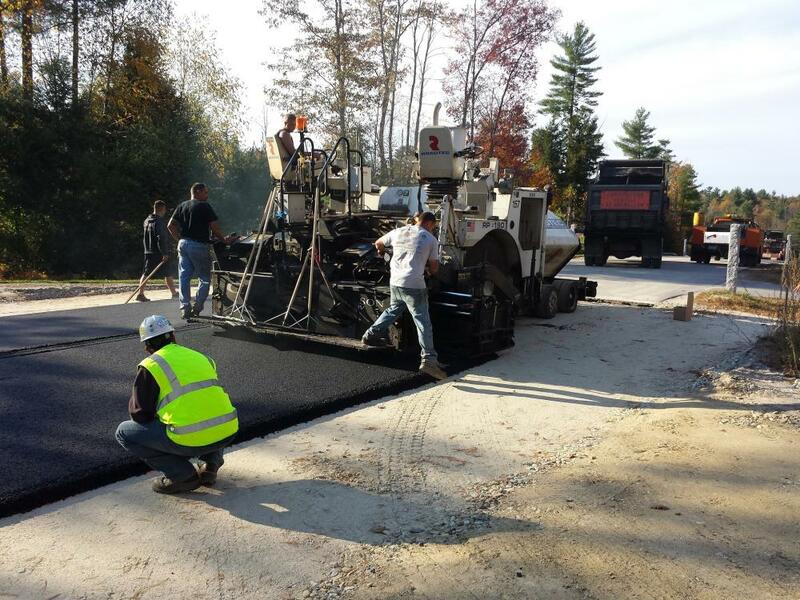 Once approved, we then provided construction monitoring and administration services during the construction of the roadway and associated infrastructure improvements. 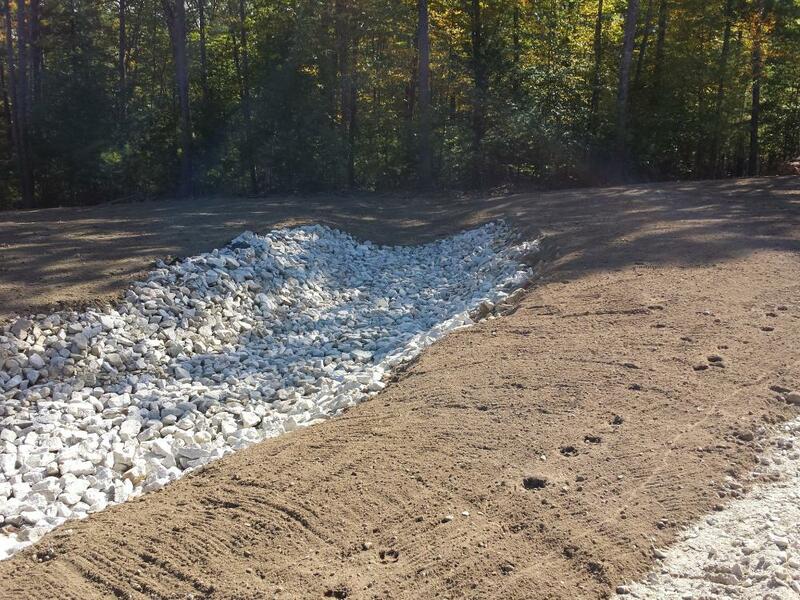 The project was located on a relatively steep slope, with many ledge outcrops, in close proximity to wetlands. 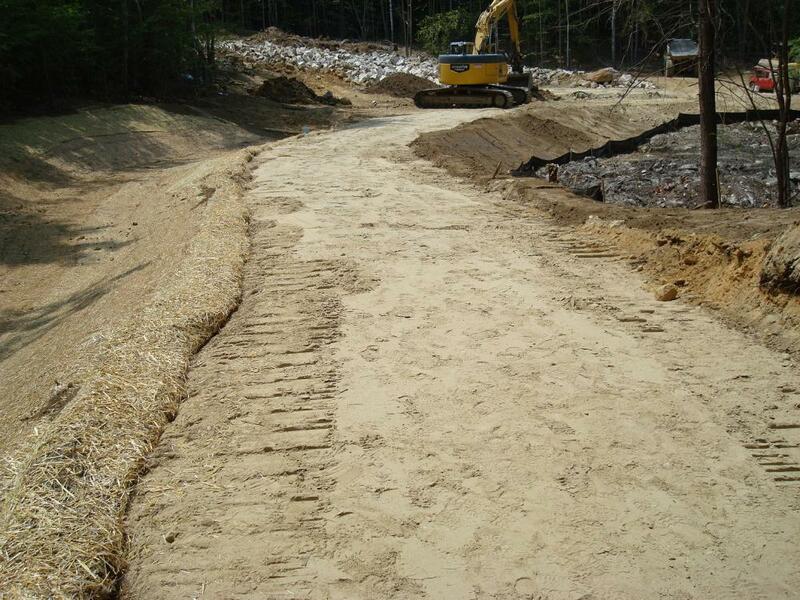 A temporary access driveway was required to ensure abutter access throughout construction. 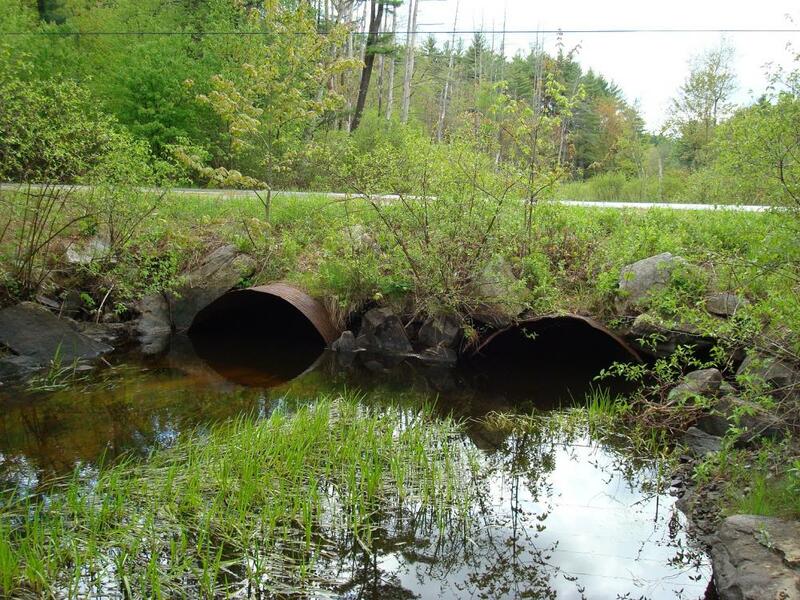 Infrastructure improvements included: underdrain, open drainage swales, stormwater management basin in ledge, basin access roadway, wetland crossing, guardrail, and underground utilities.